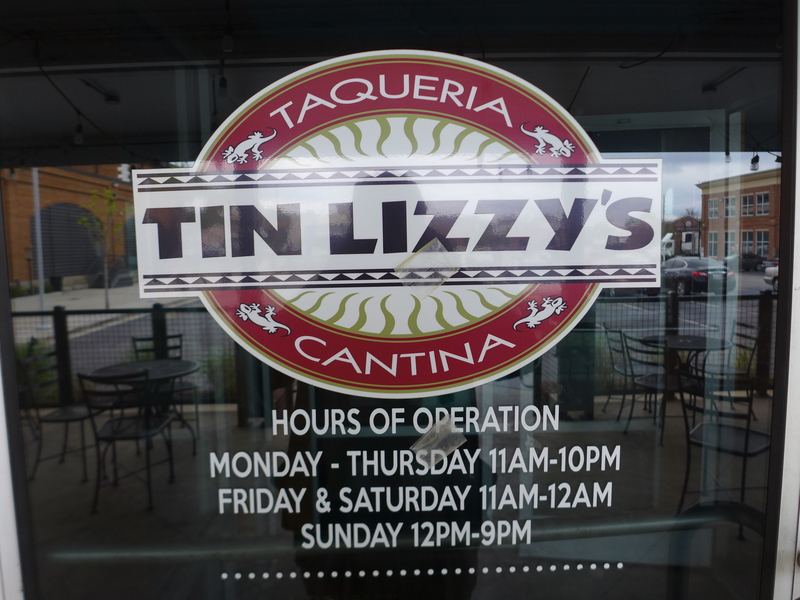 I was not aware of Tin Lizzy's, else I might have gone sometime. 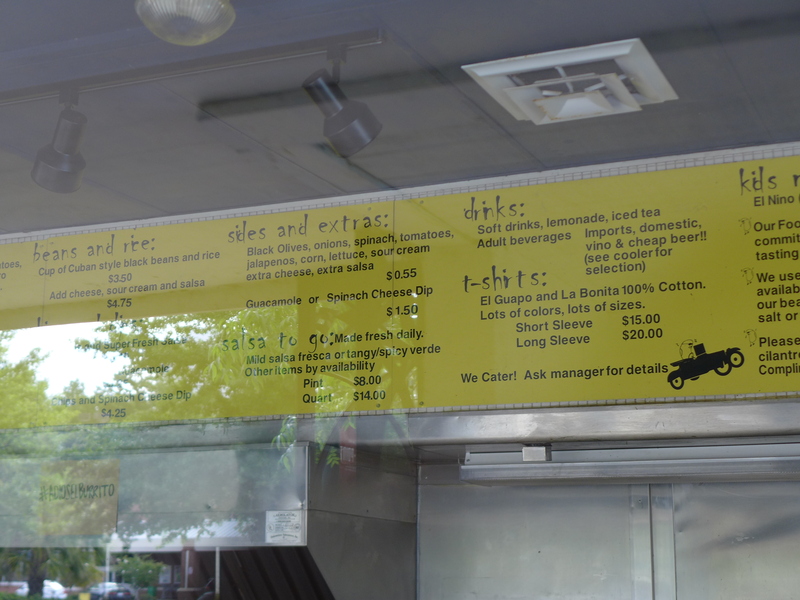 The menu looks decent. When I first heard that it had closed, and was at 700 Gervais Street, I went to the building you see in the first shot, which is not, in fact, the location. 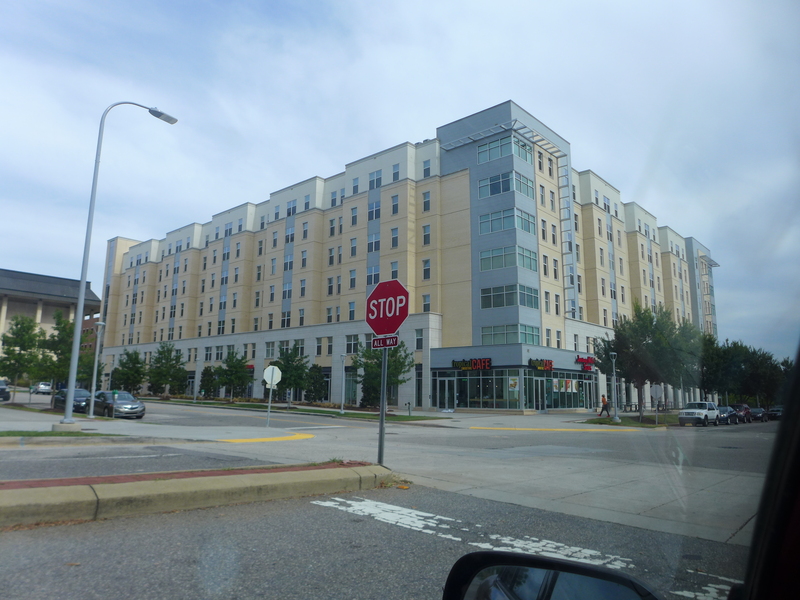 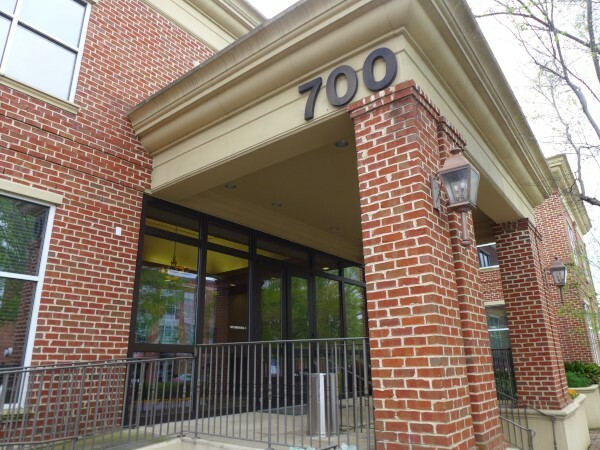 Apparently 700 Gervais encompasses the whole arc of buildings around the parking lot there. 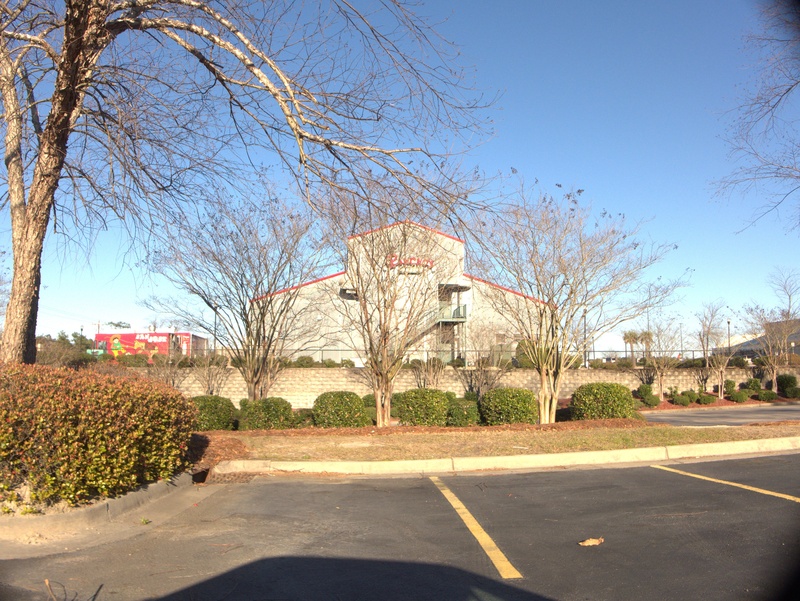 WLTX has a (very) little more. 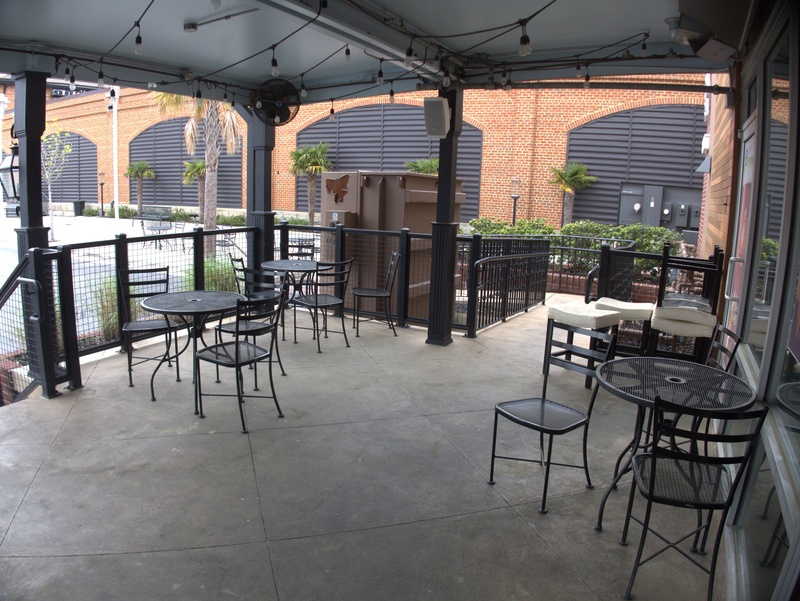 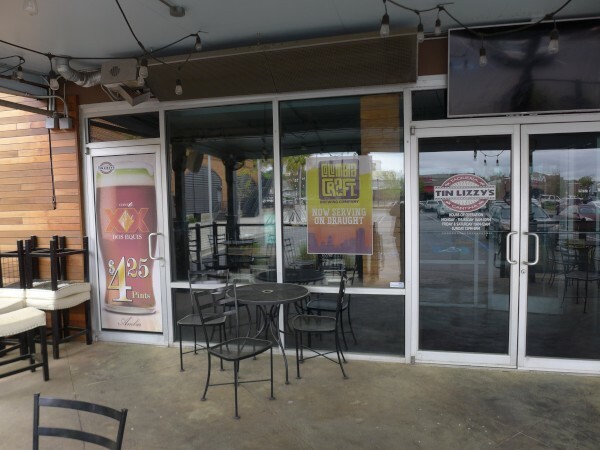 Apparently, the only non-Georgia locations of Tin Lizzy's left are in Greenville and Tallahassee. 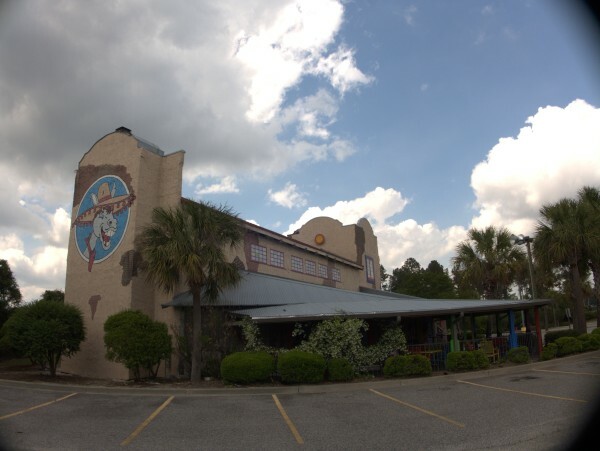 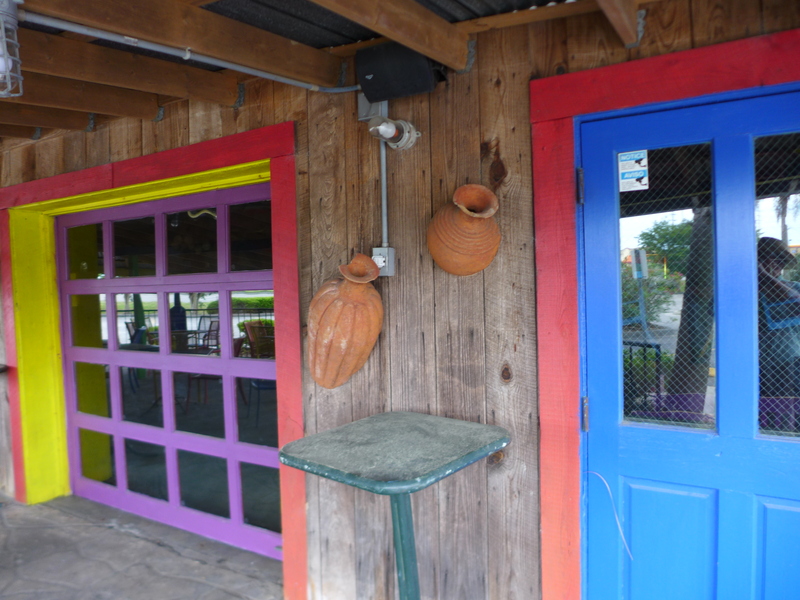 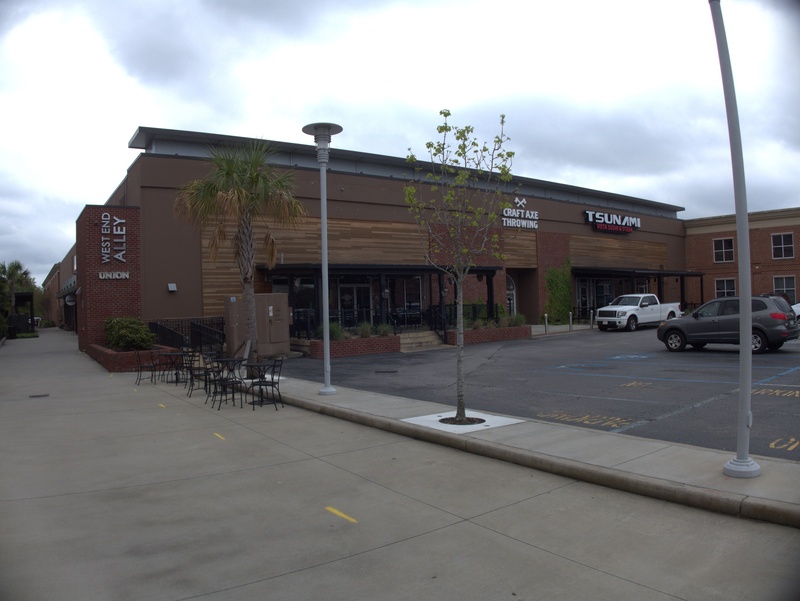 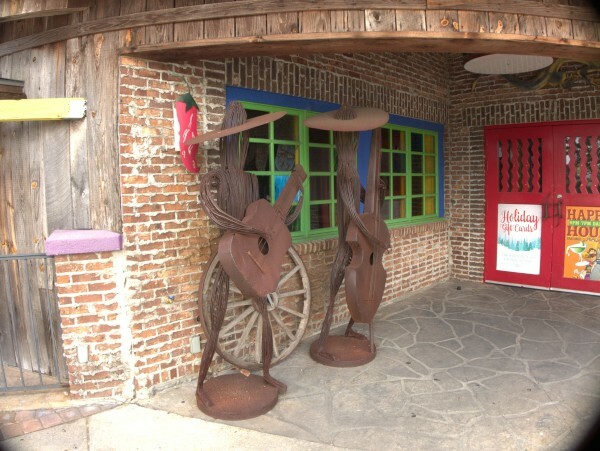 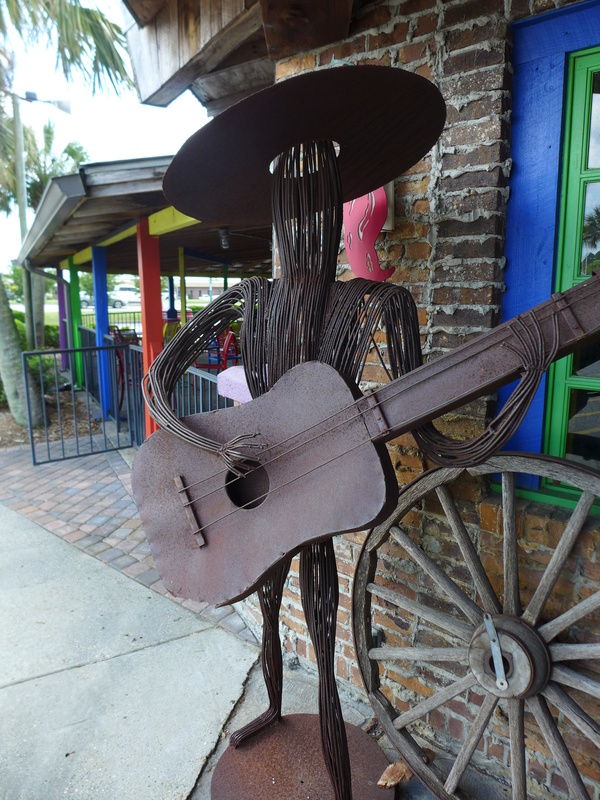 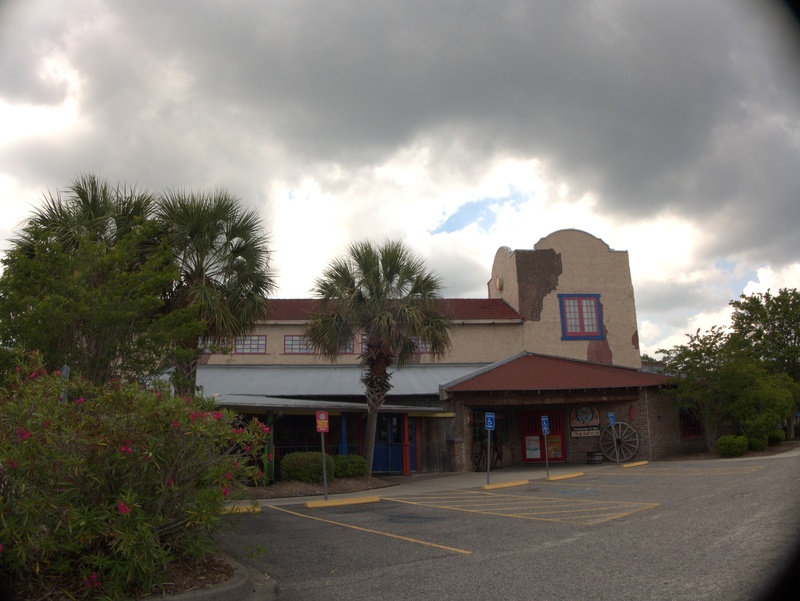 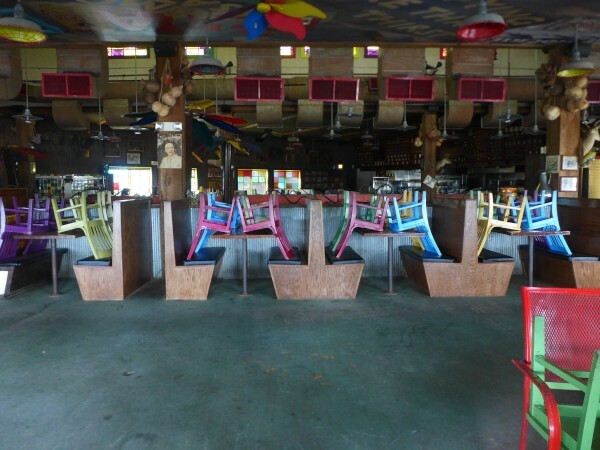 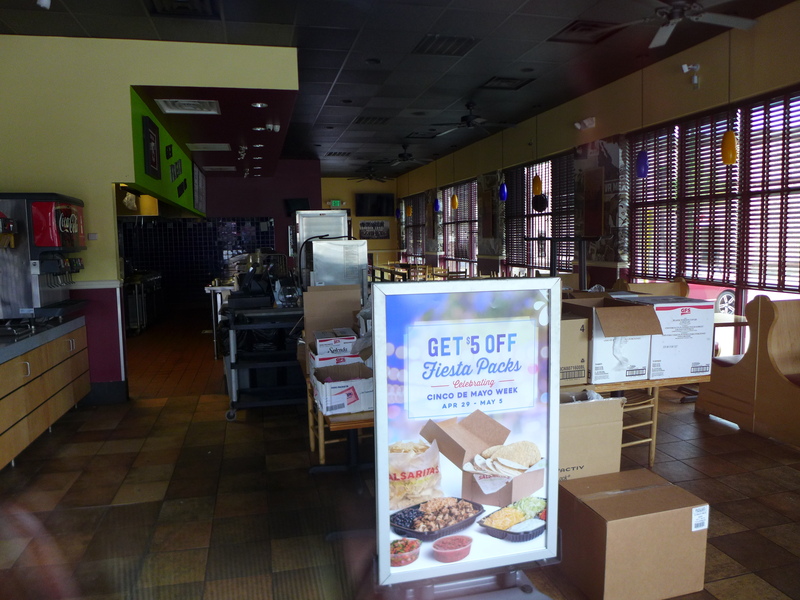 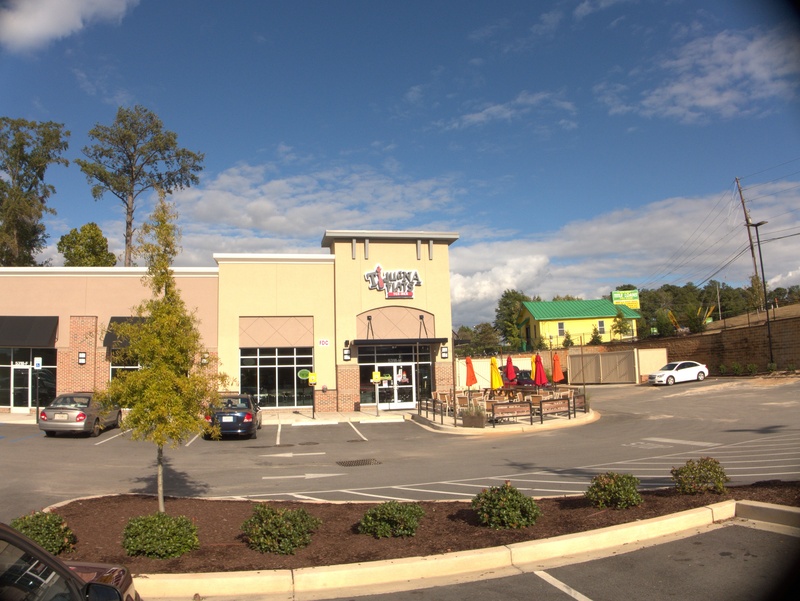 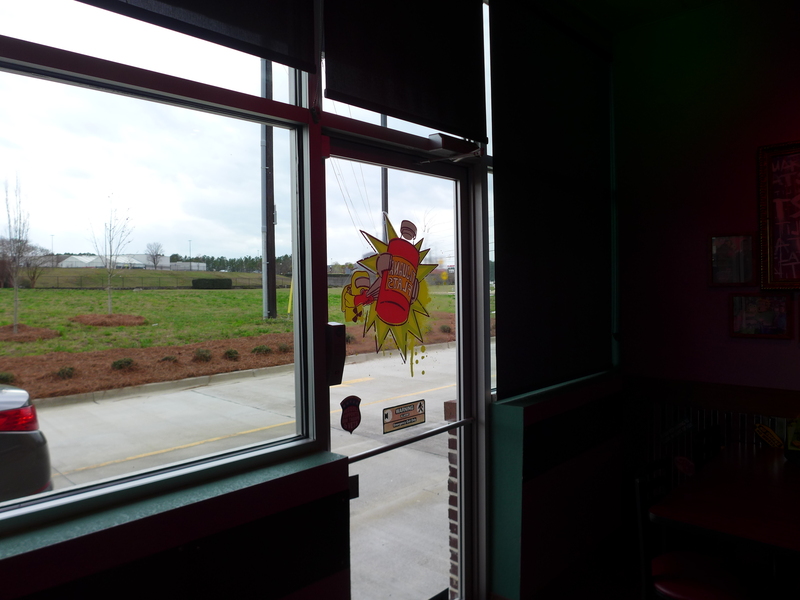 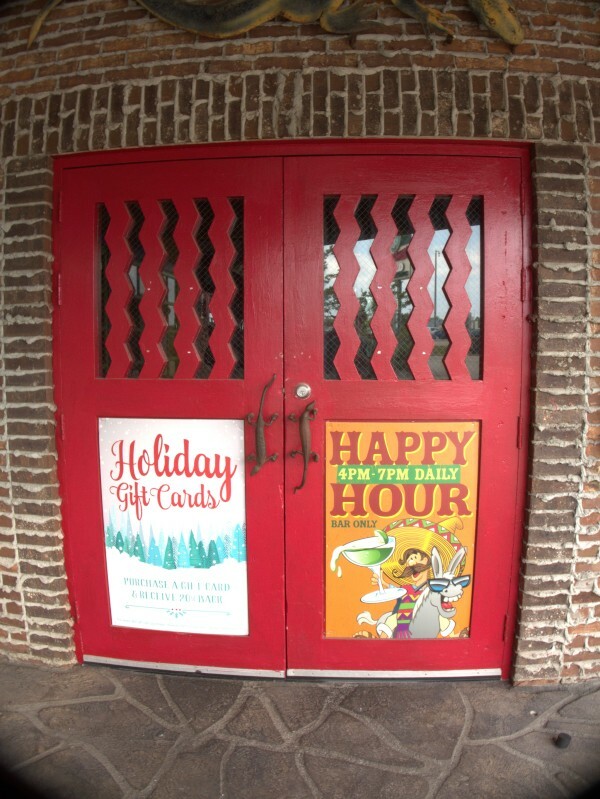 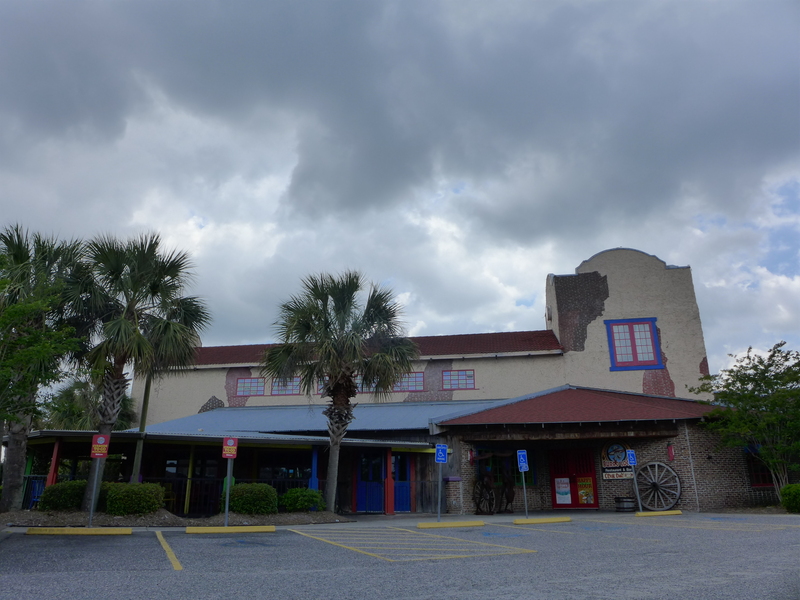 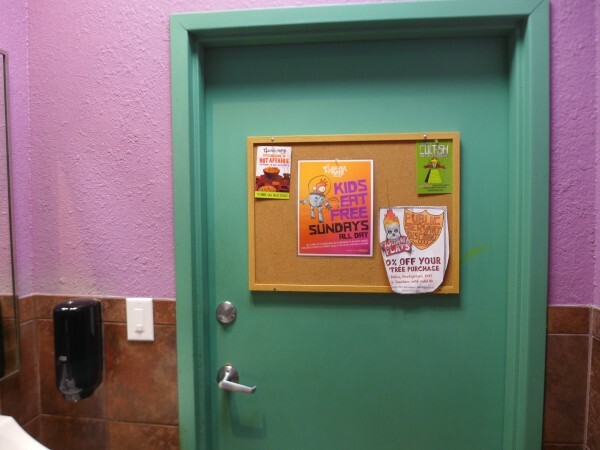 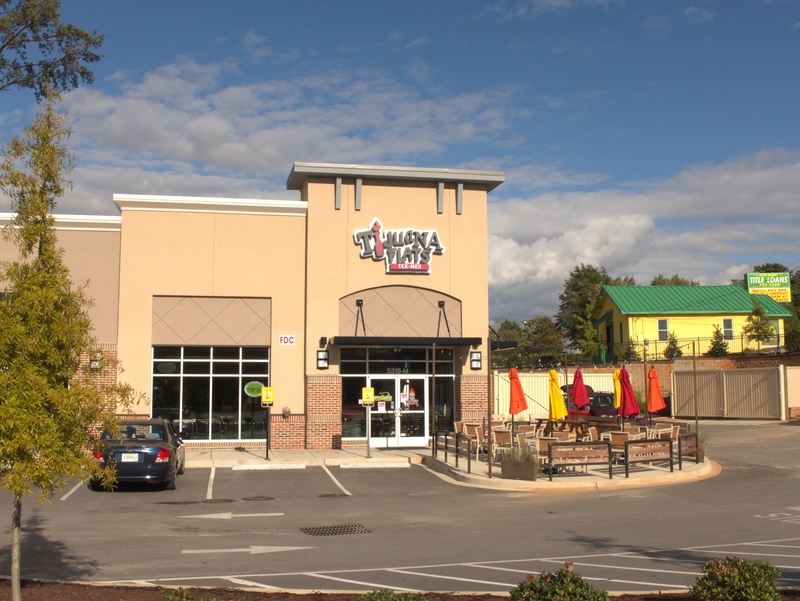 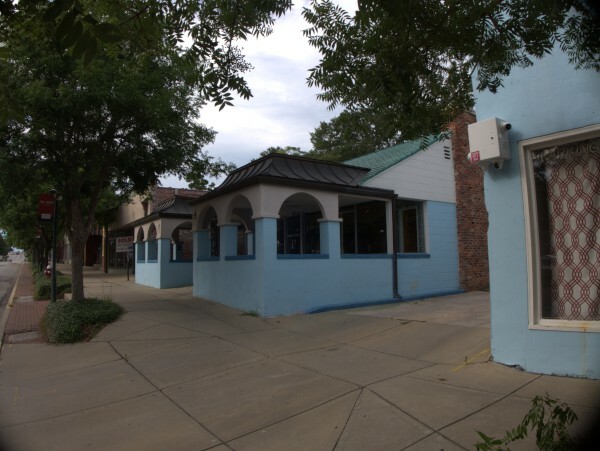 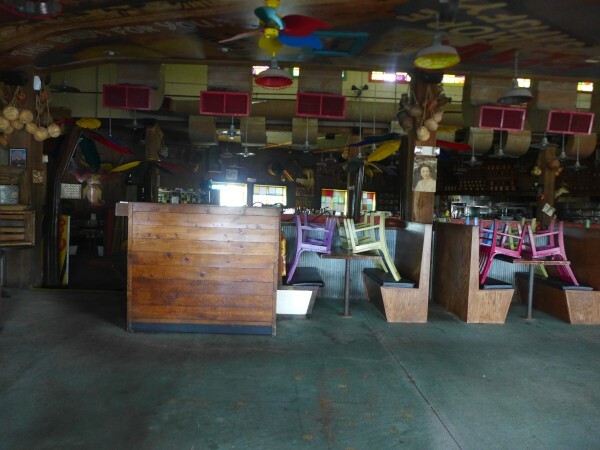 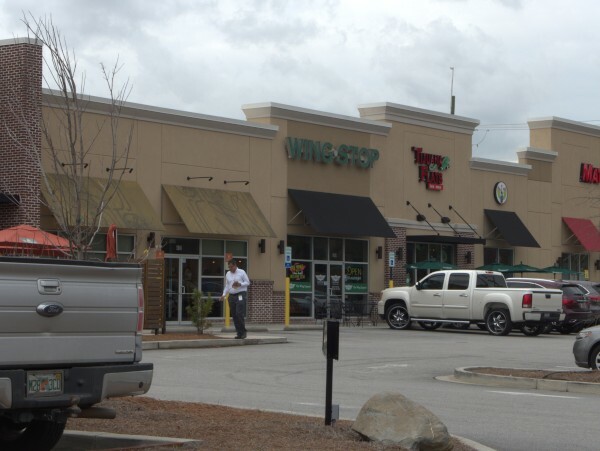 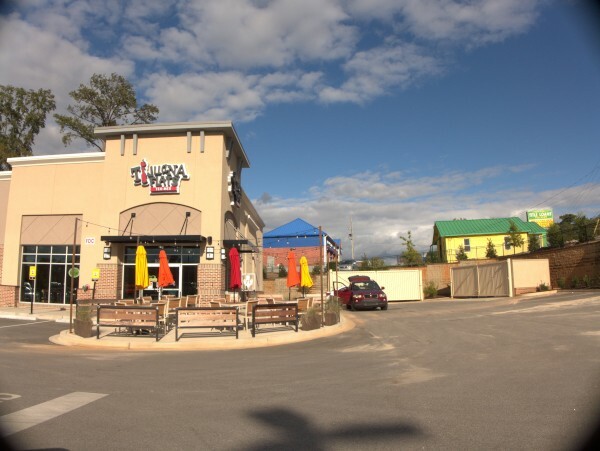 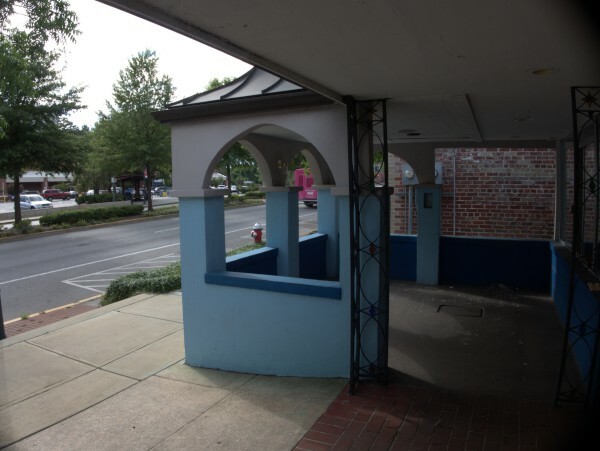 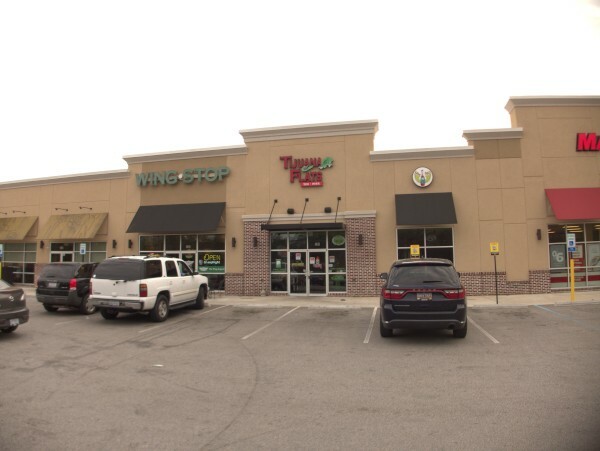 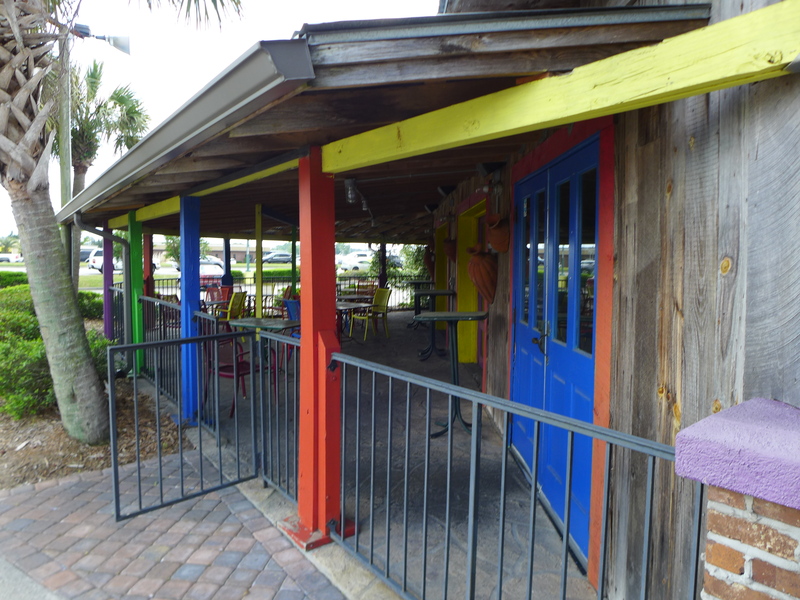 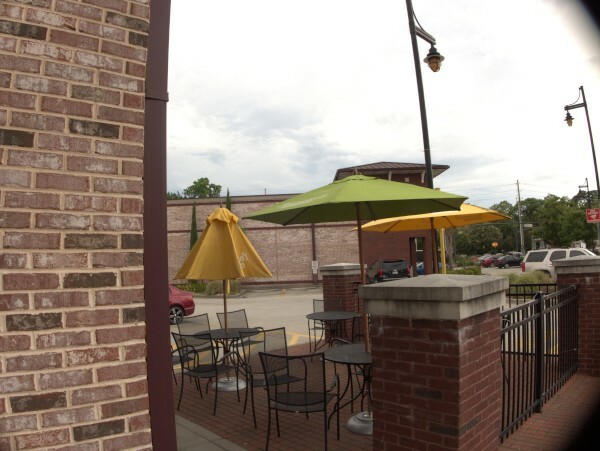 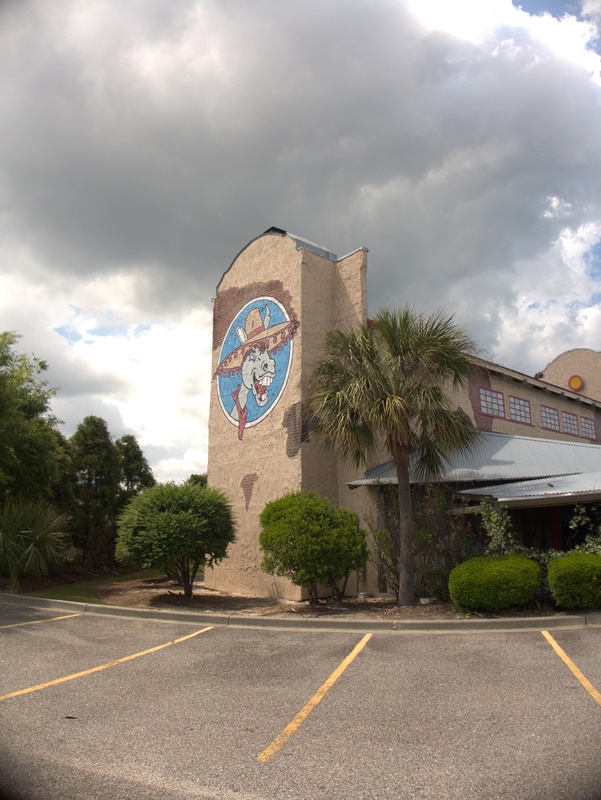 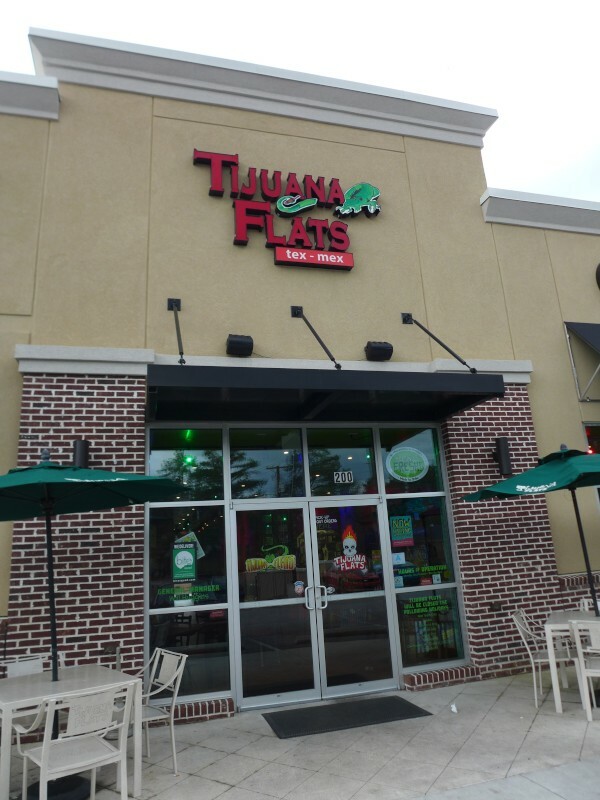 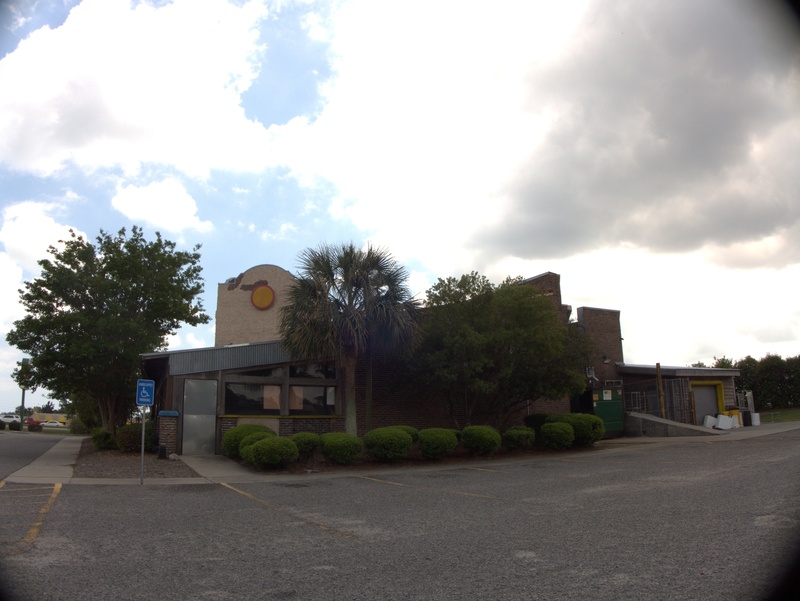 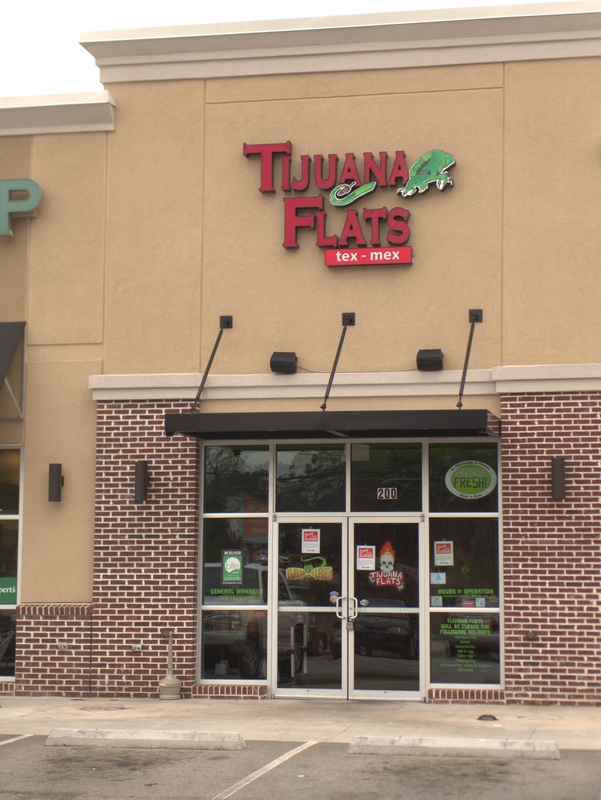 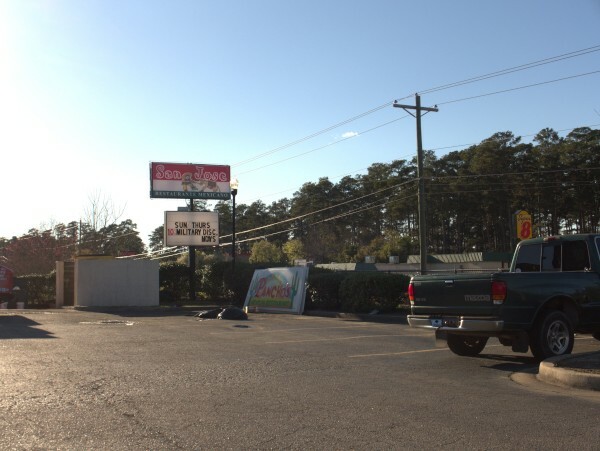 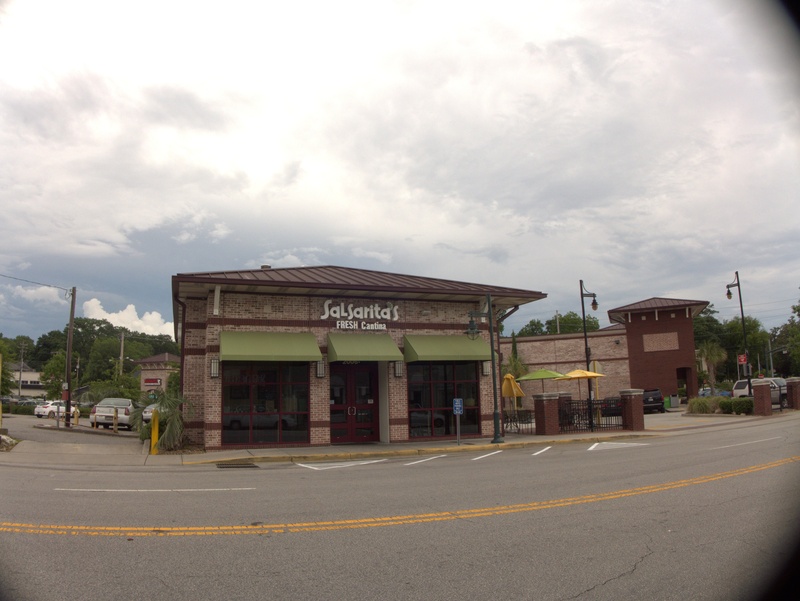 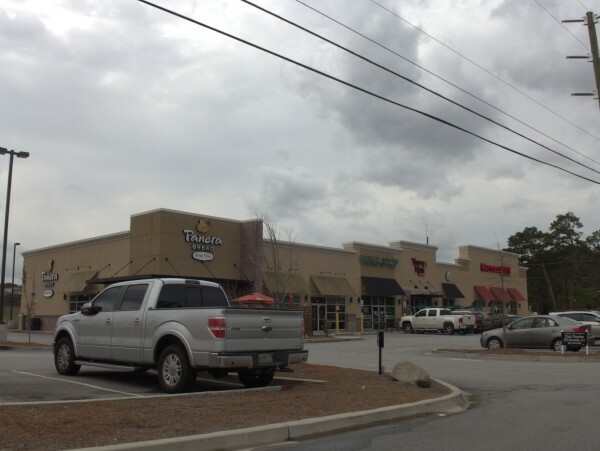 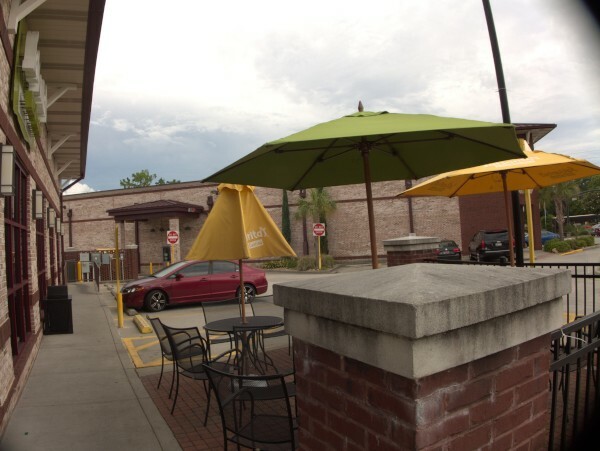 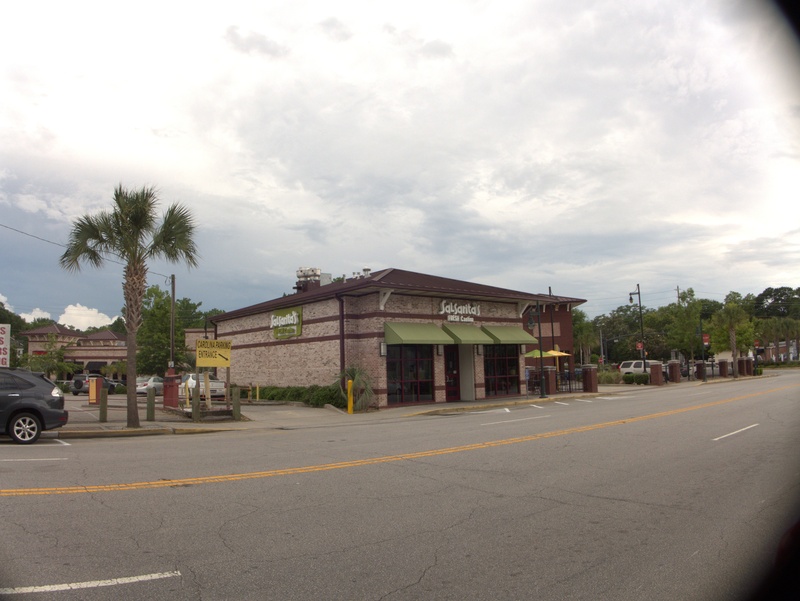 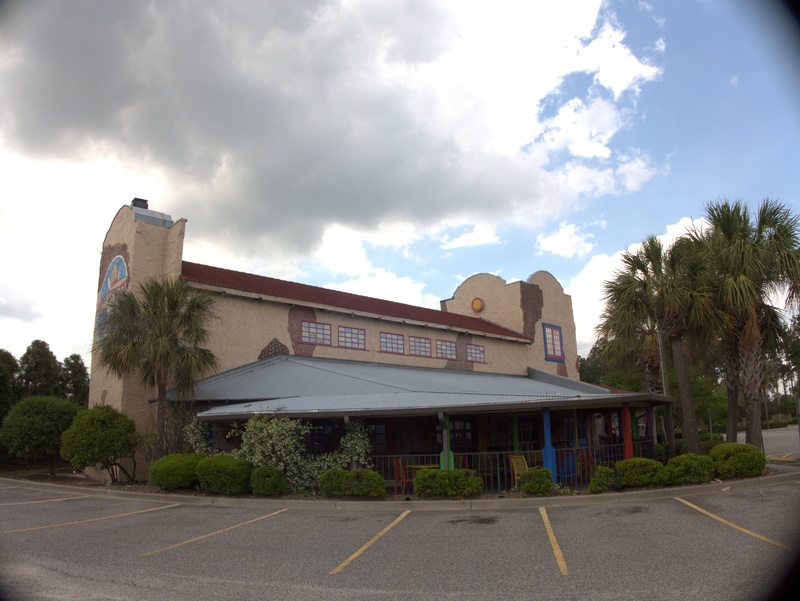 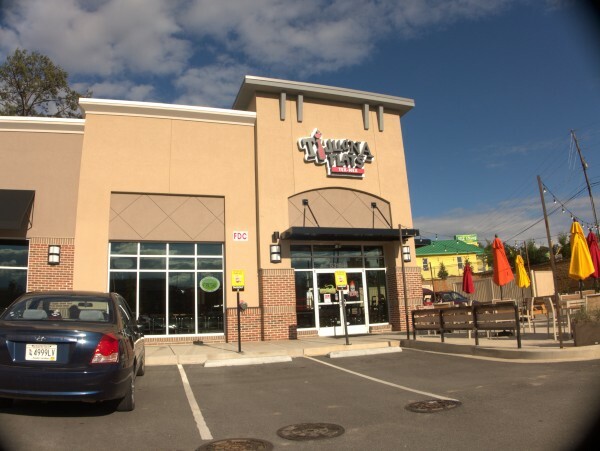 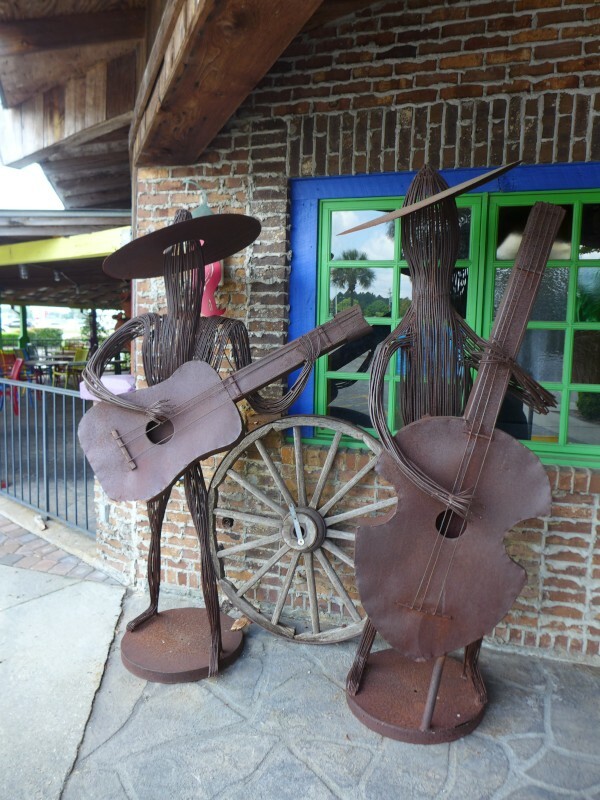 Tijuana Flats closed their Forest Acres store back in March. 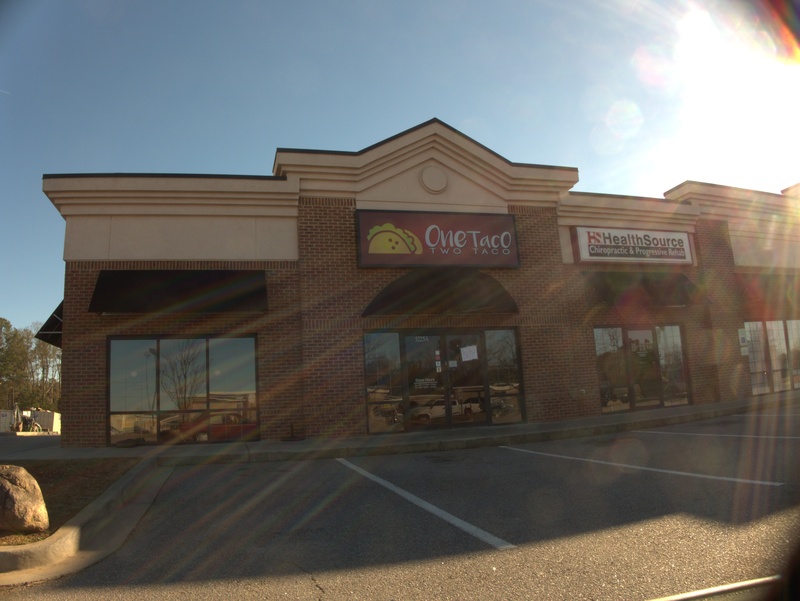 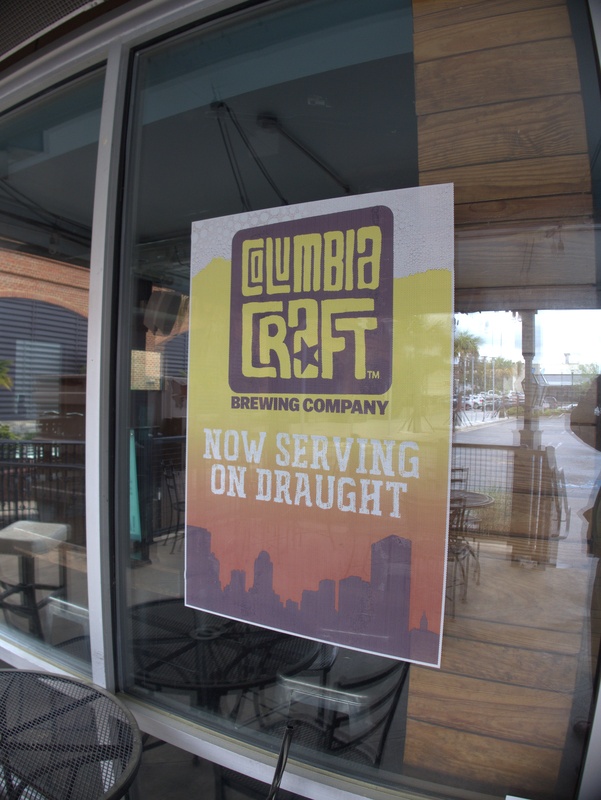 Apparently the Greenville stores closed in March as well. 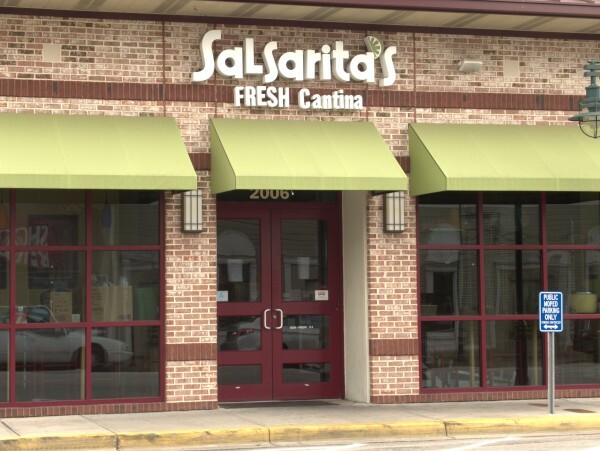 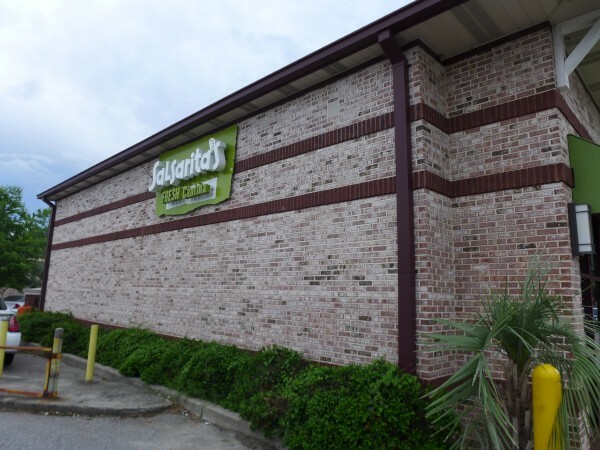 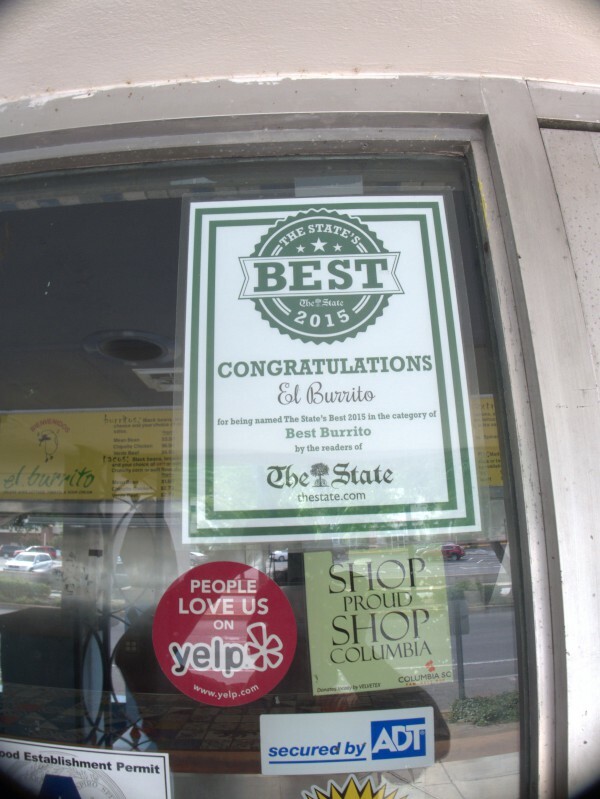 This store opened after the Forest Acres one, and soldiered on for a few months longer, but with this closing, it appears the chain has totally left the state, which is a shame as I rather liked it (though their salsa policy was rather odd). 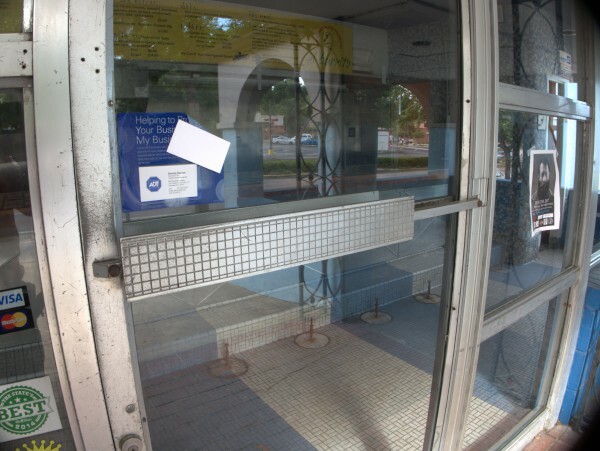 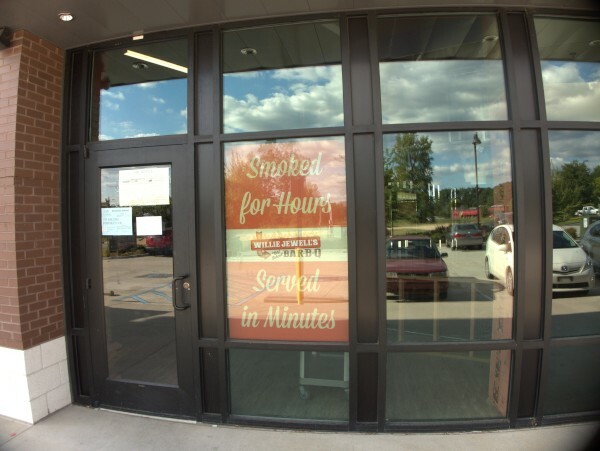 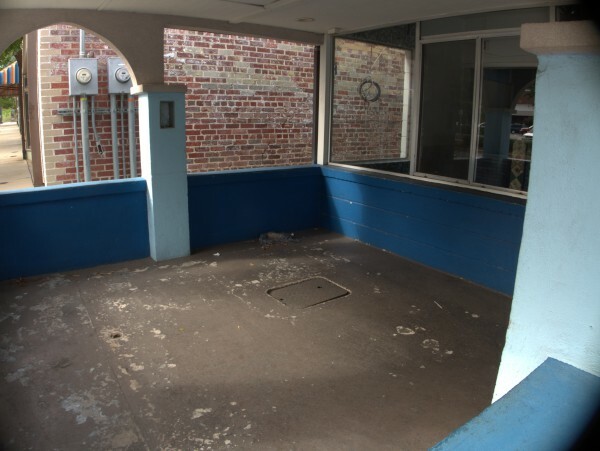 These pictures were taken shortly after the closing date, and the store was still being stripped. 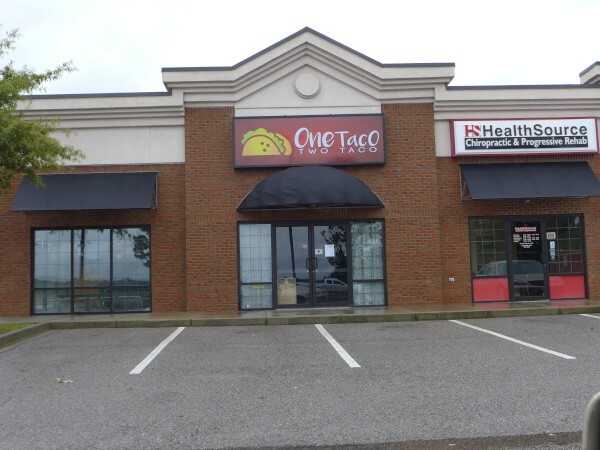 I guess this train-stationesque building just was not meant to house a fast casual Mexican chain. 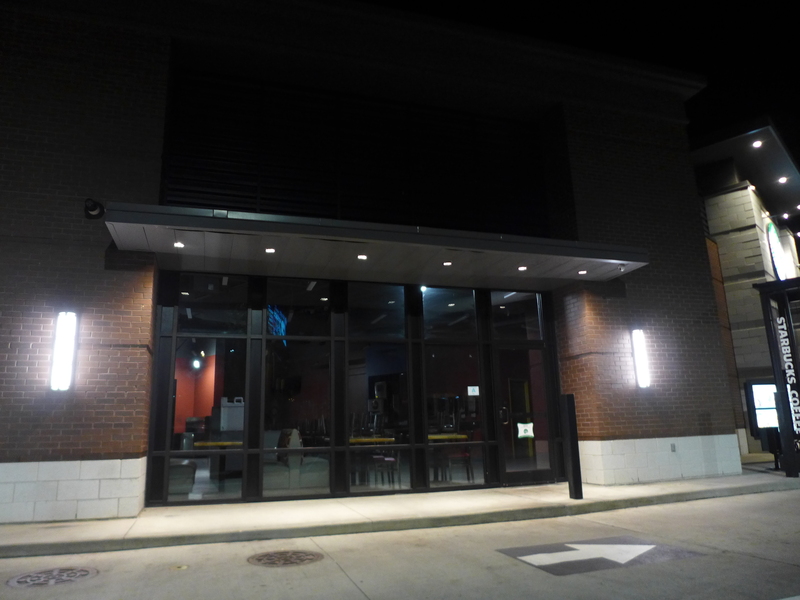 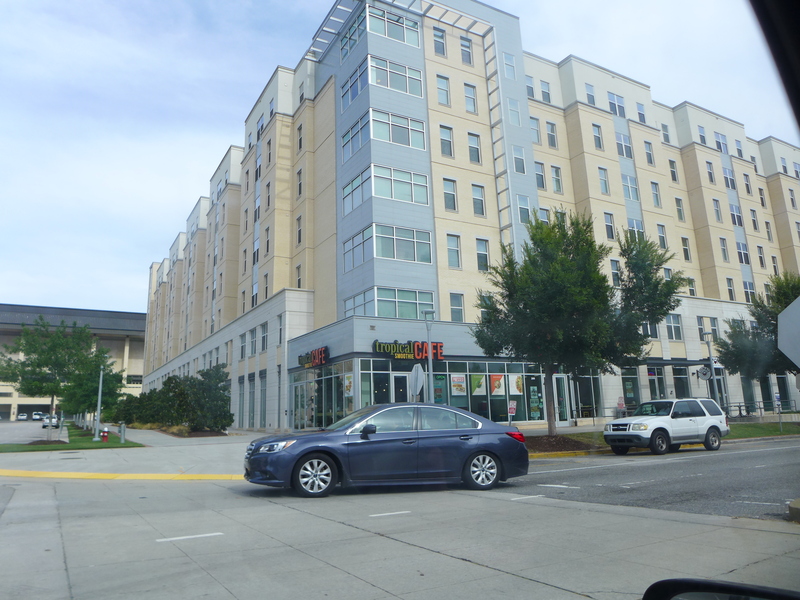 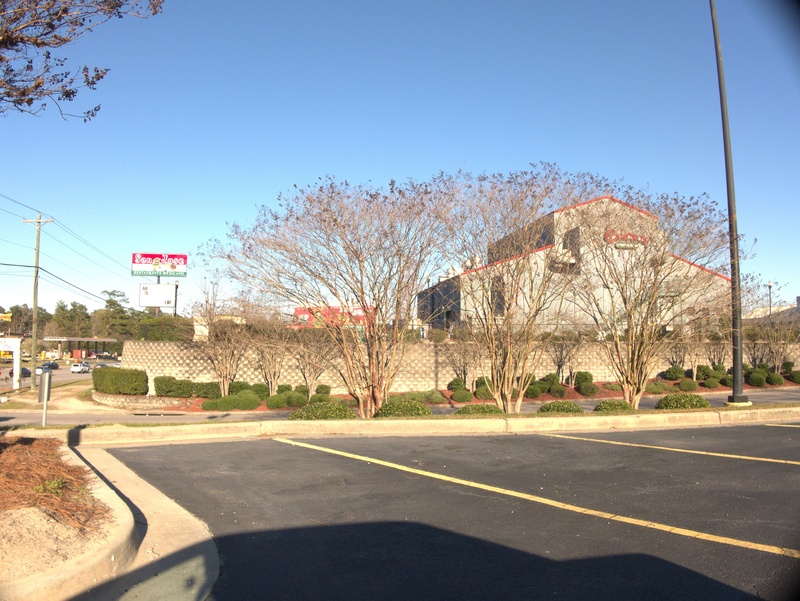 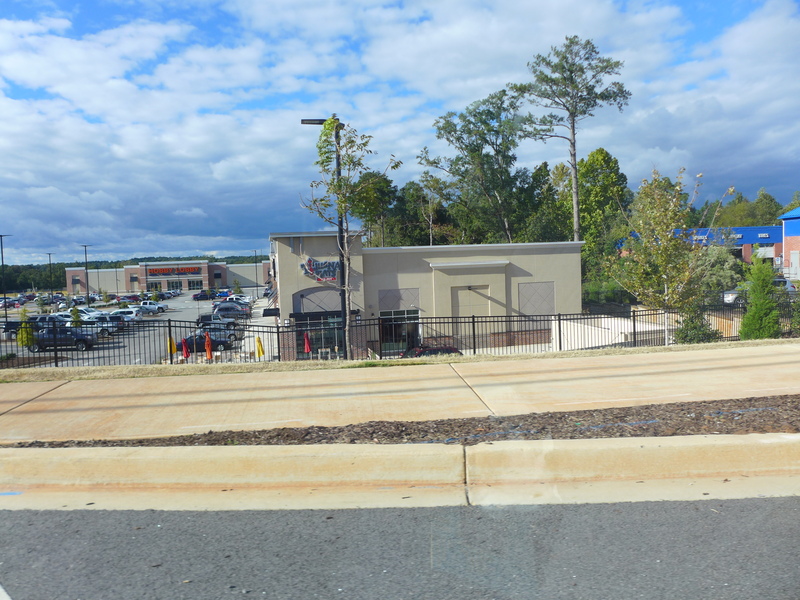 If you will recall, this was the location of Qdoba until May of 2015, meaning that Salsarita's lasted about three years. The State's report is here. 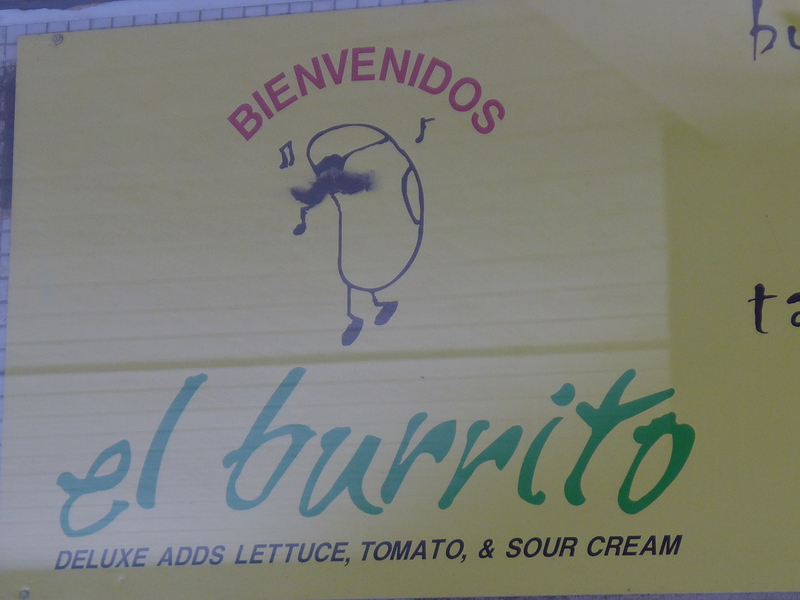 Despite some stumbles locally in recent years, I have always been a Moe's partisan in the burritto wars. 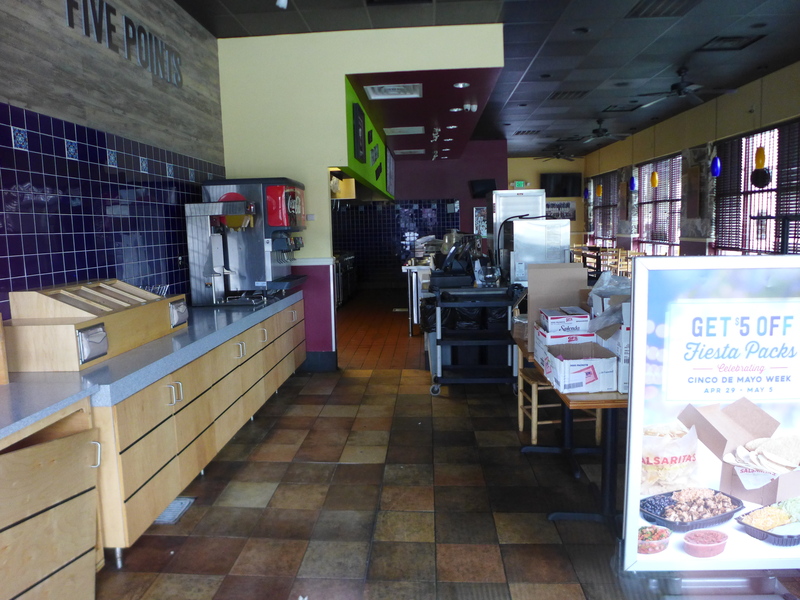 I hate the ambience at Chipolte, Qdoba burrittos always fell apart on me, and Barbaritos, at least locally, is Moe's lite, without the availability of ground beef. 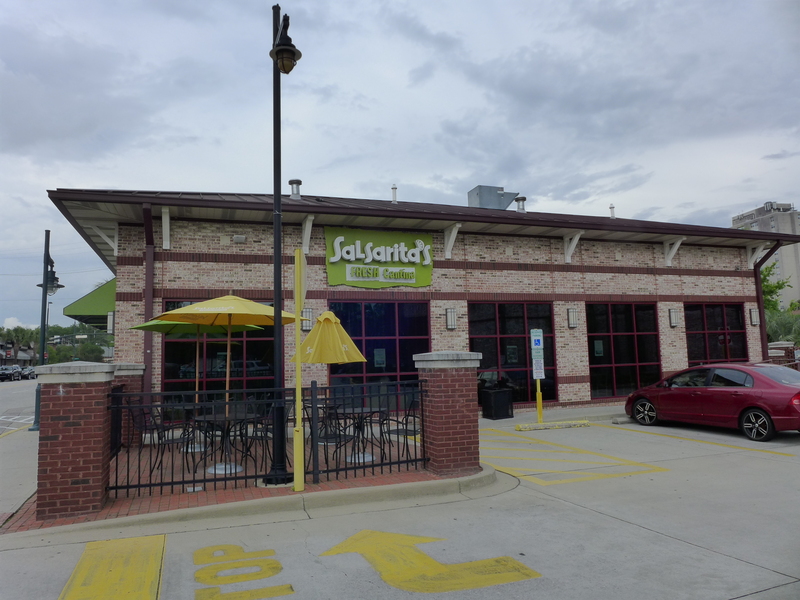 I had not really had an opinion on Salsarita's, not having been to one until recently. 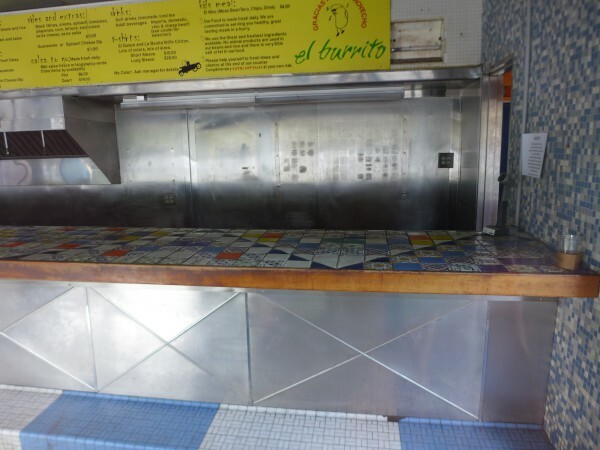 Finally having done that (though not at this location), I was a little weirded out when the staff took over my tray and brought it out to a table which was not the one I had been planning on. I honestly can't recall much about the food itself. 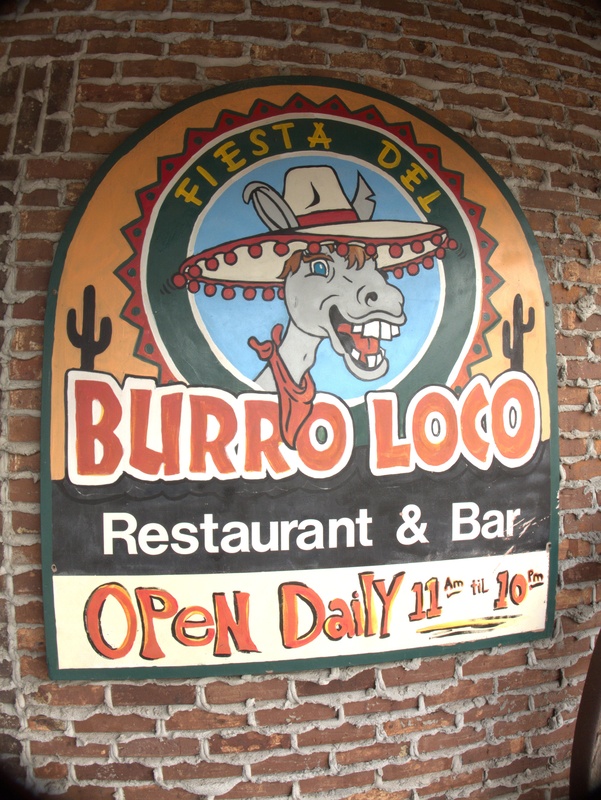 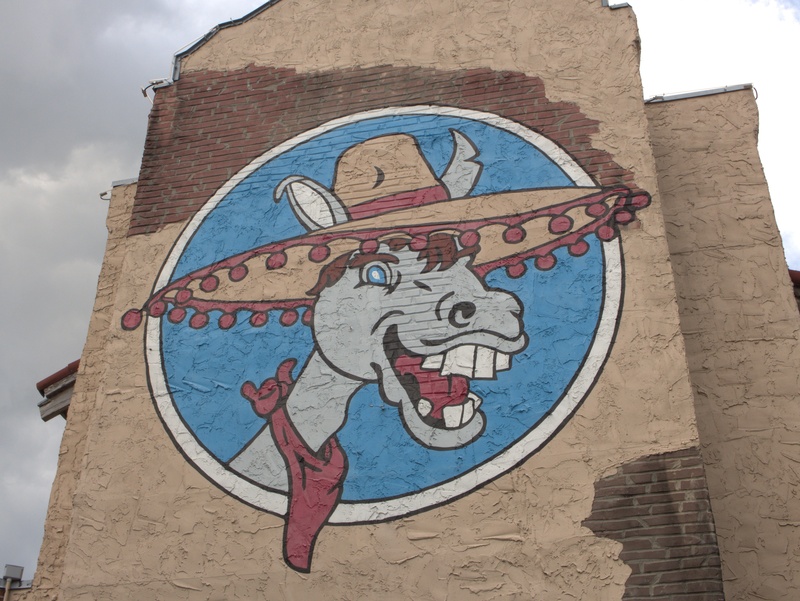 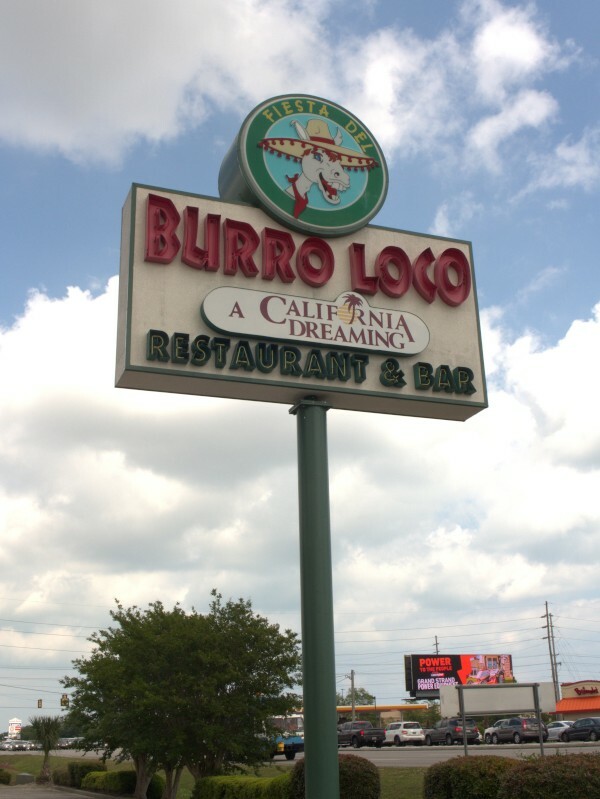 Burro Loco is a restaurant that has always interested me, because it seemed like it should be good, but never was. 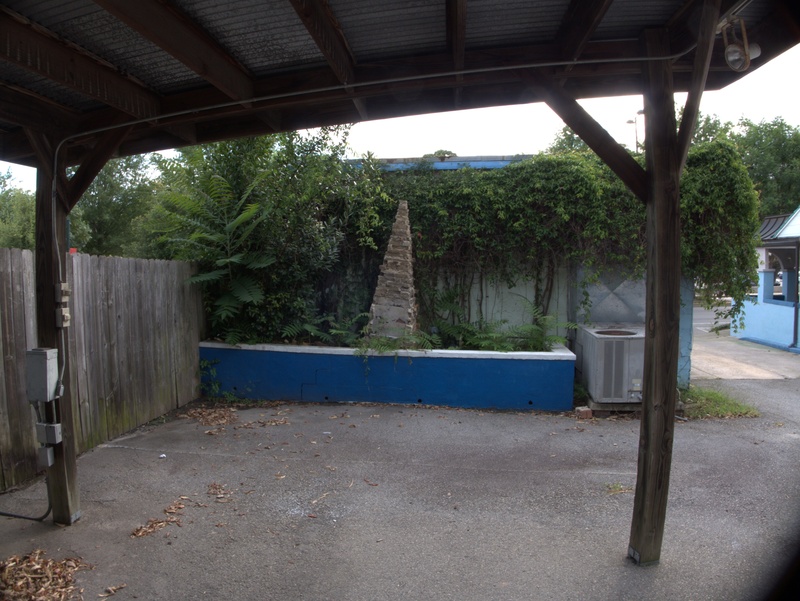 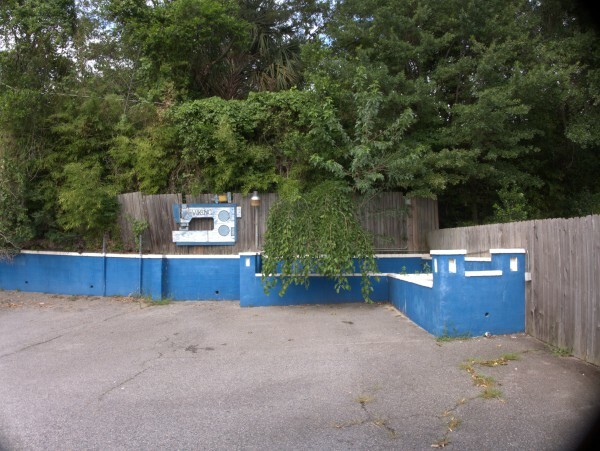 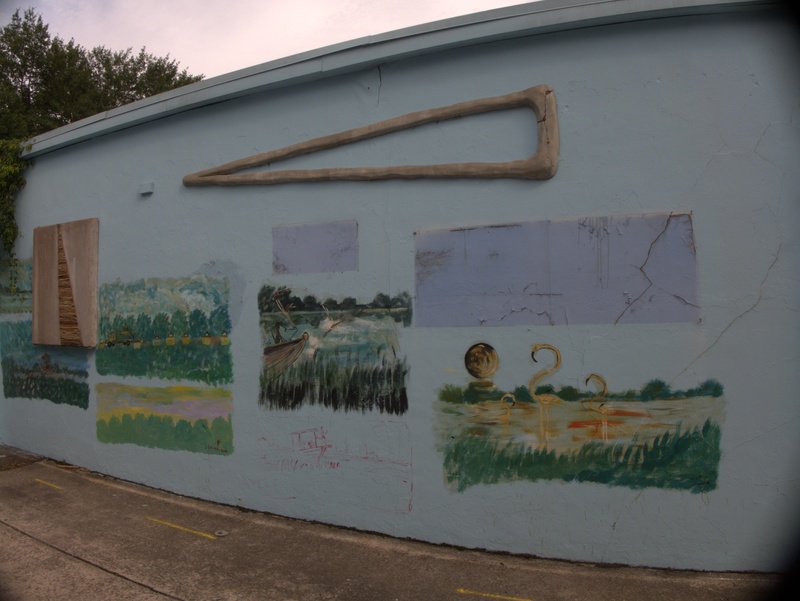 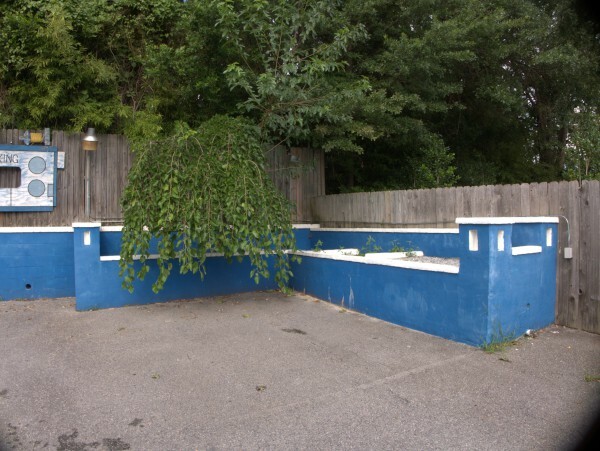 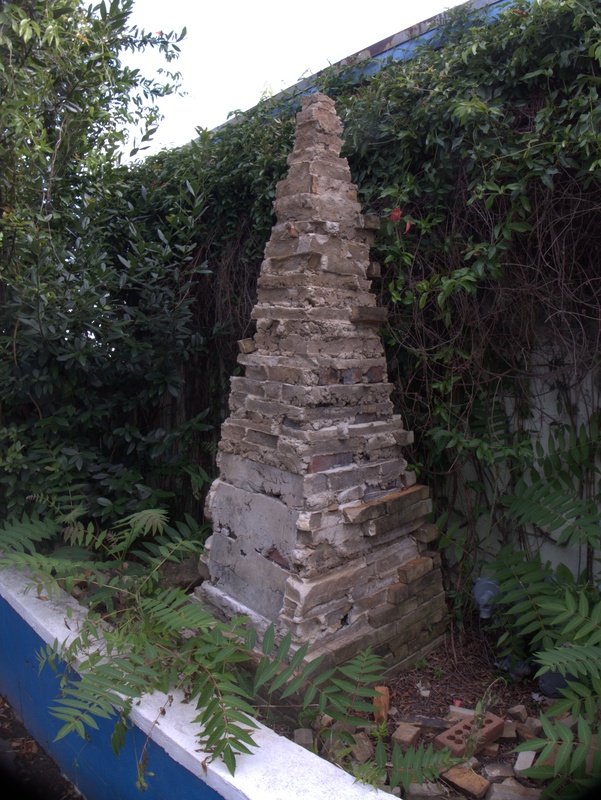 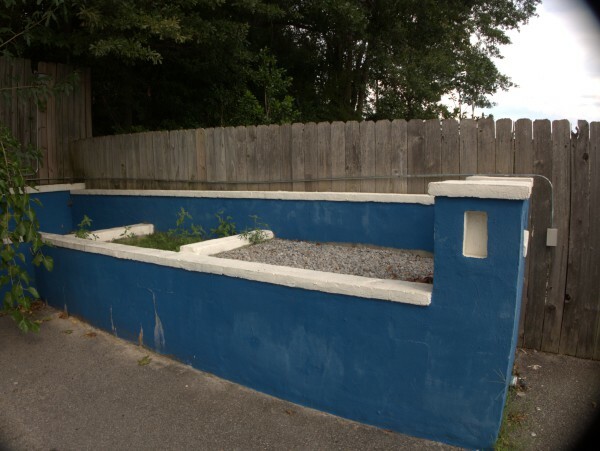 I have long had this place on an informal timeline where I would stop by about every five years to see if it was there yet, and it was due probably this year, but now it looks as though I will not get the opportunity. The closing message on the restaurant site is pretty bland and noncommital (though it is nice that the staff were relocated). 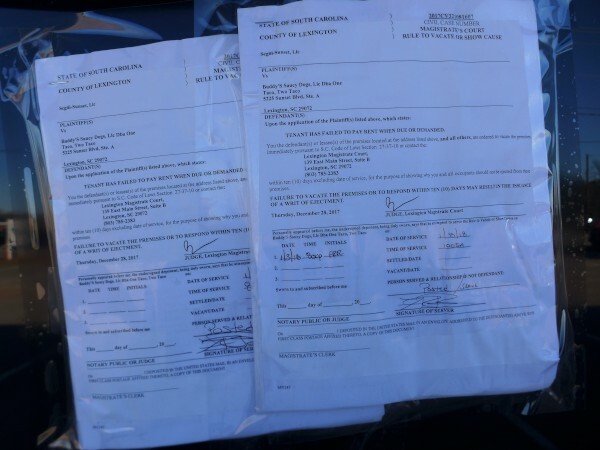 The Sun News essentially printed the same press release with no further information. 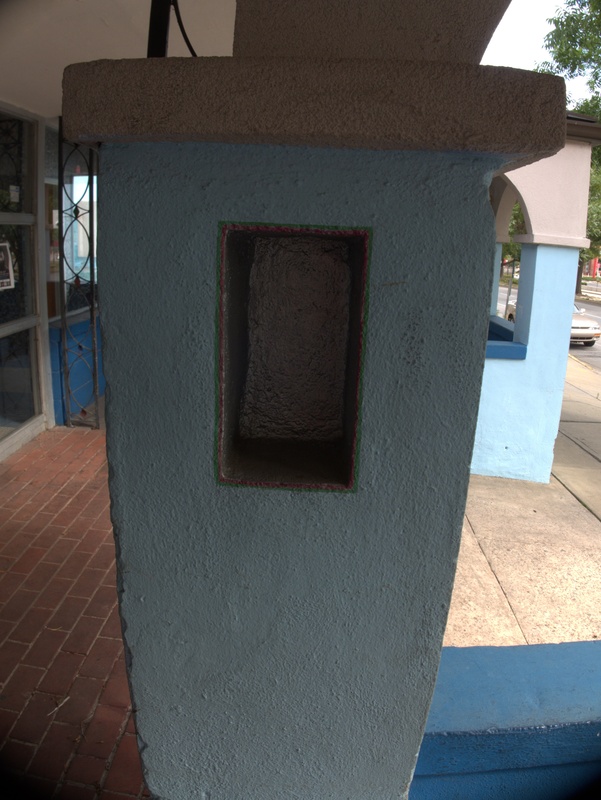 I find several things a bit curious however. 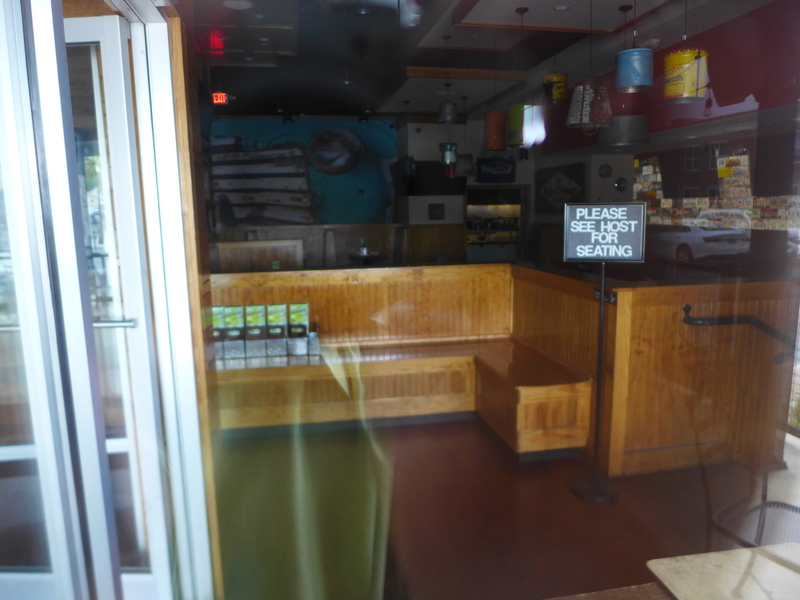 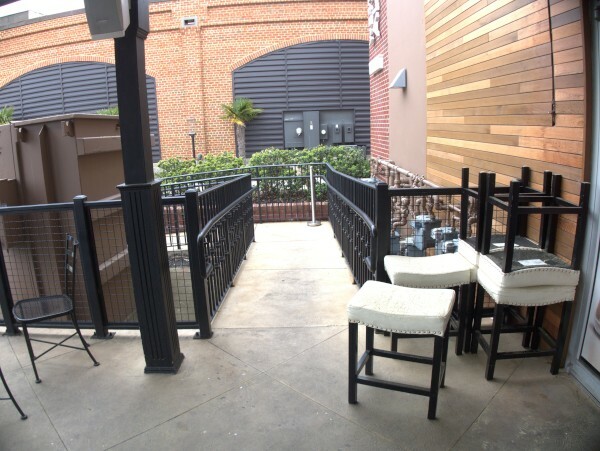 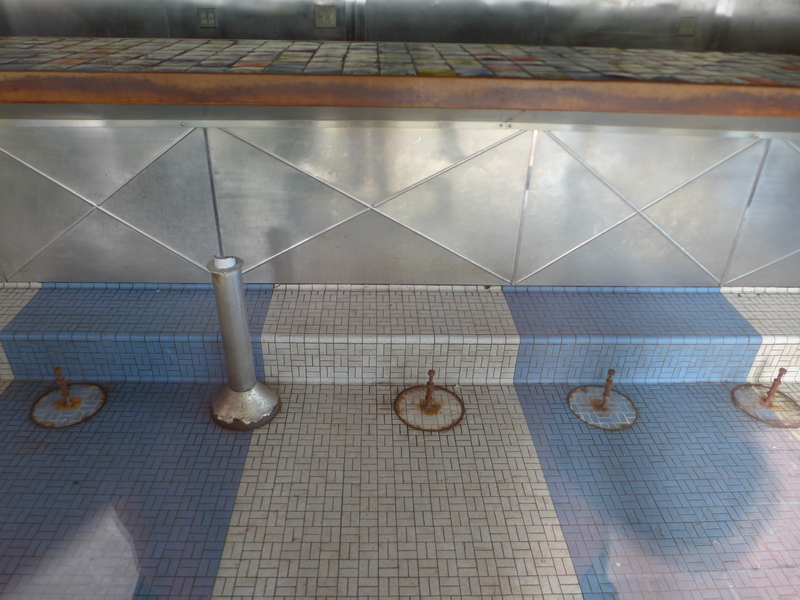 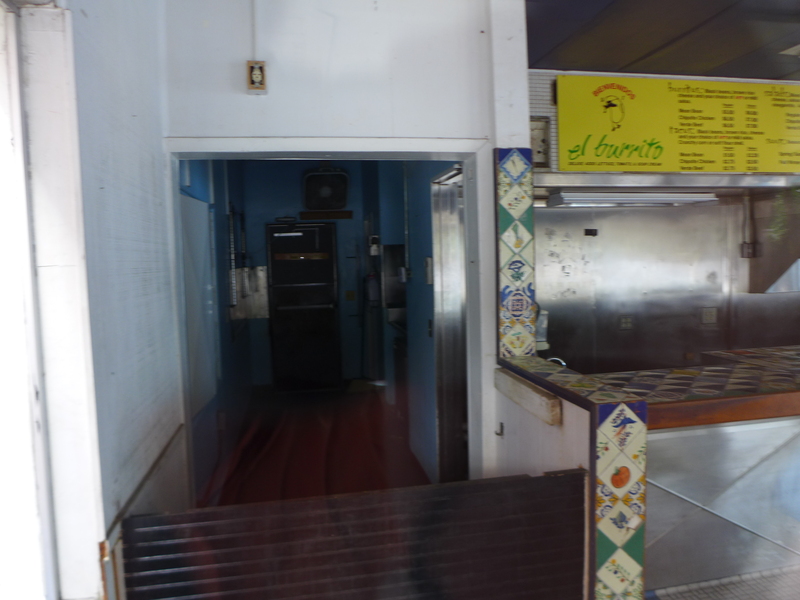 First, there is no signage at the restaurant itself. 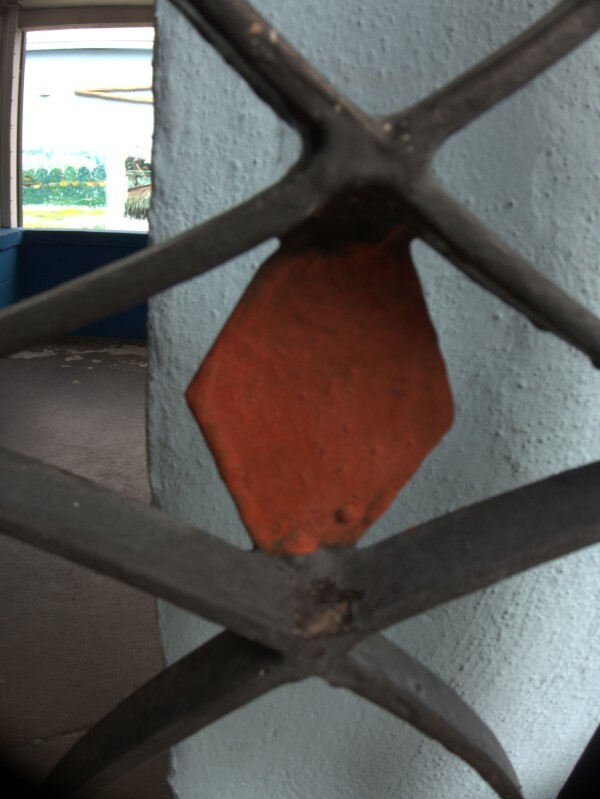 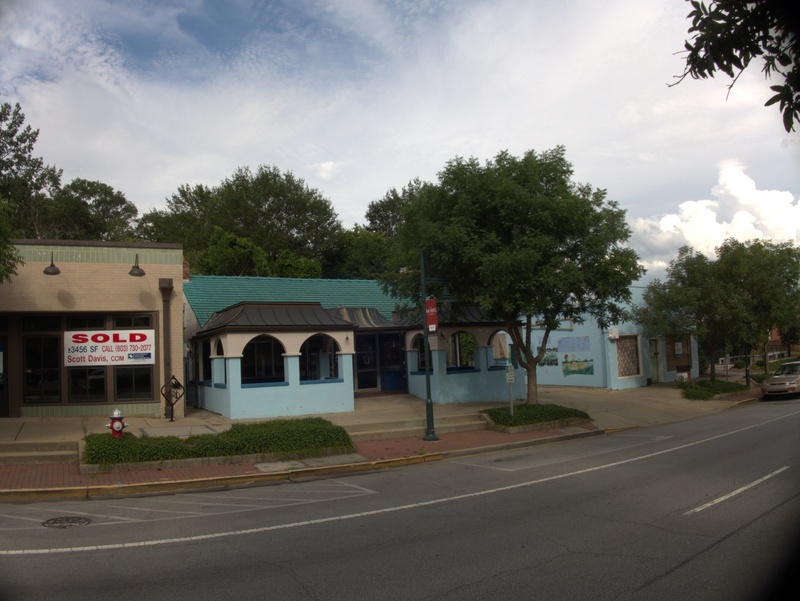 Not your typical Closed for Renovations much less a more informative See us this fall! 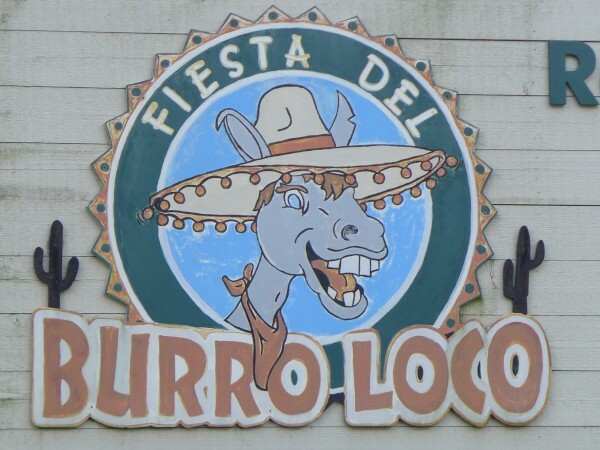 or whatever. 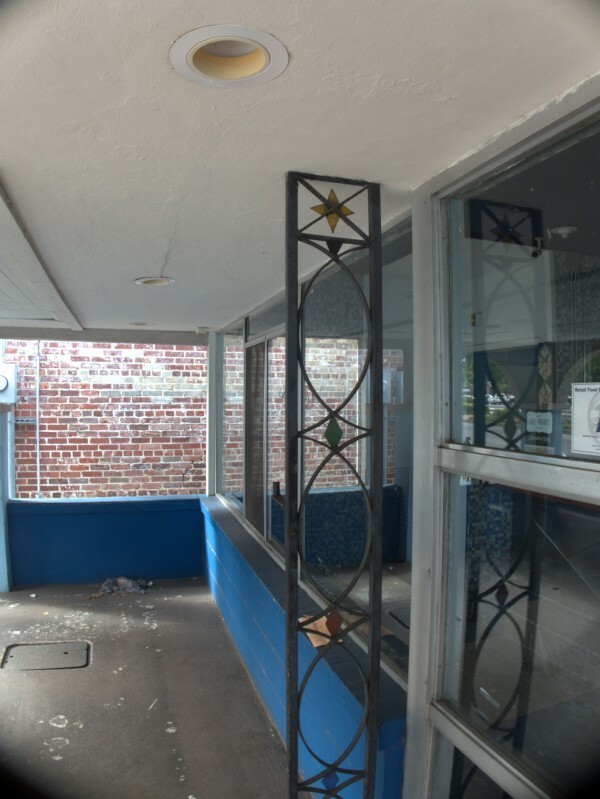 Second, there is no indication at all that any work whatsoever has taken place here, despite four months having passed, and third, the door marquee indicates they were open until 10pm 7 days, not the 11pm weekend closing I would expect for a bar based hot-spot. 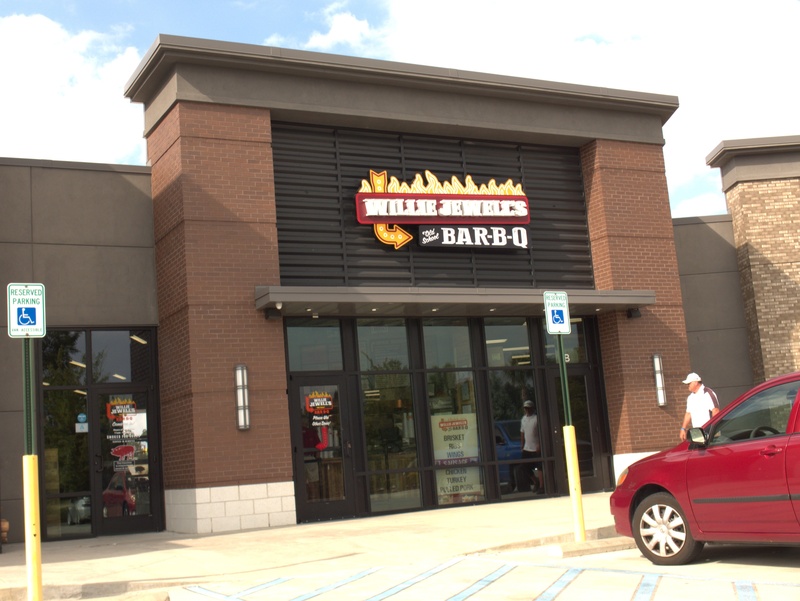 I'm moved to suspect that the chain acted to stop the bleeding, but doesn't yet really have an idea what to do with the place. 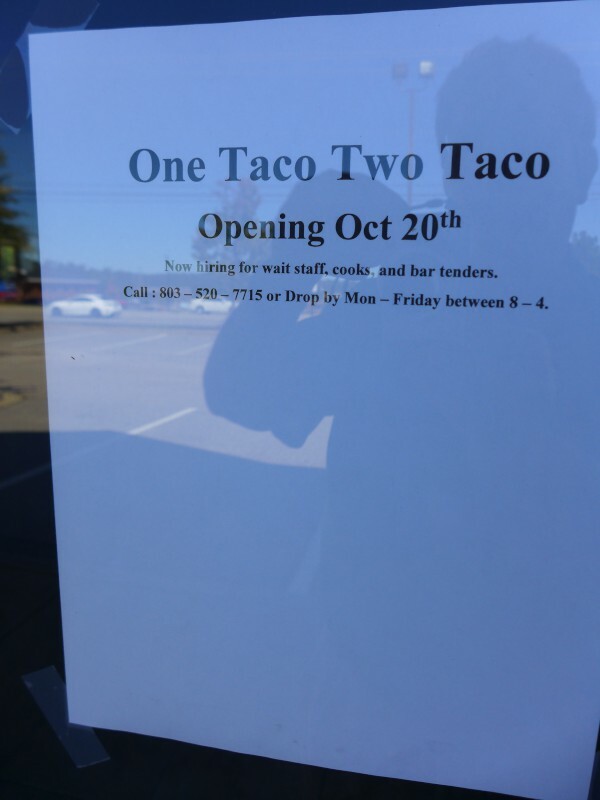 We'll see, and I hope I'm wrong as I would like to see this place finally get good. 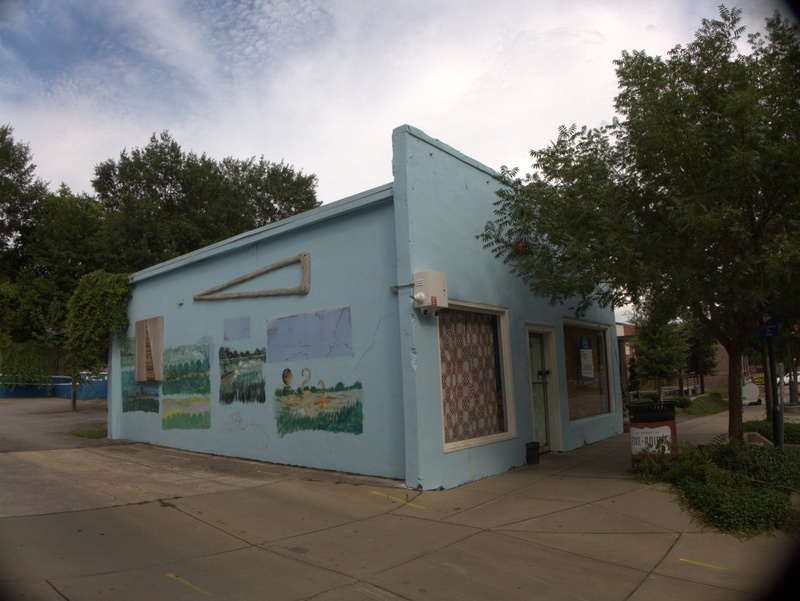 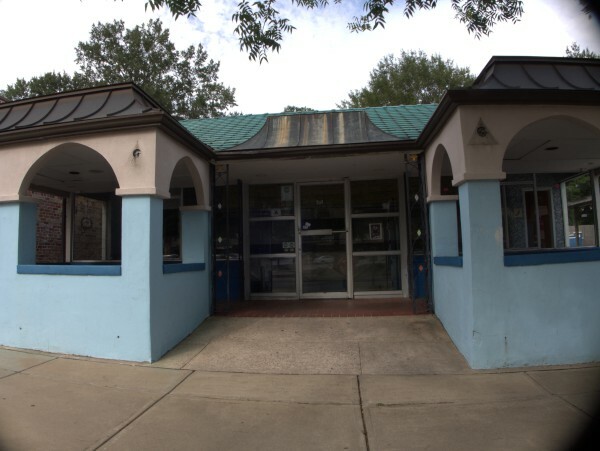 UPDATE 7 December 2018: The Sun News reports the building is for sale. 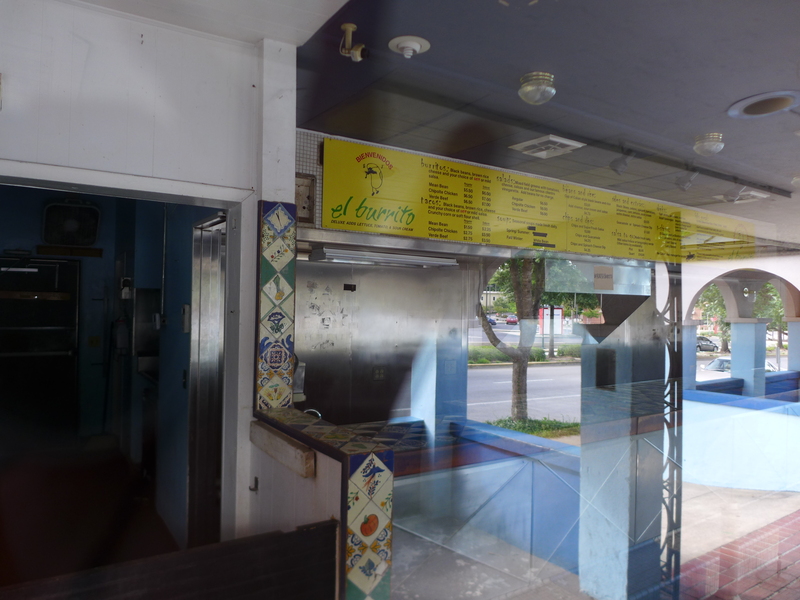 My memory is a big vague, but I believe this restaurant (in the former Redbone Alley/Corky's building) actually started out as a San Jose, but that was causing some heartburn at the old Forest Drive San Jose which is now Pasta Fresca, so it was reflagged as Pancho's while still being in the San Jose family. 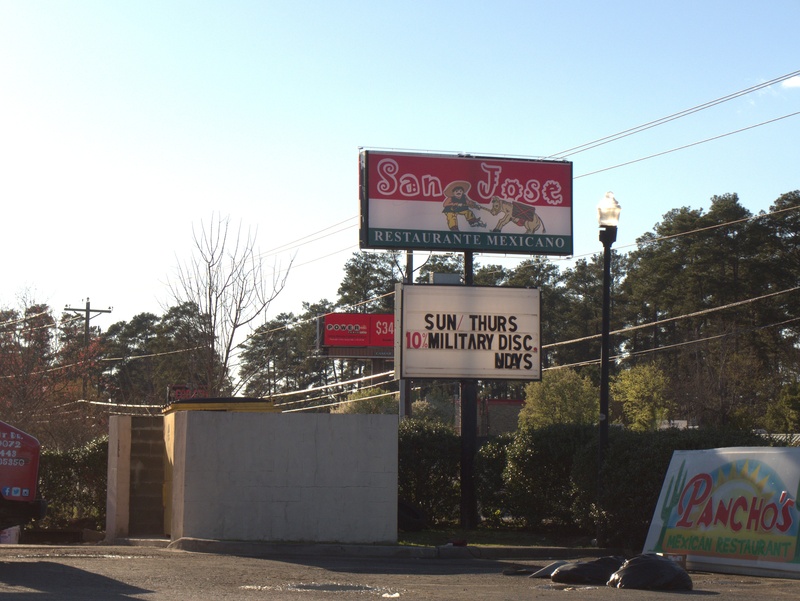 For whatever reason, that was undone on 7 March, and it is now officially a San Jose again (though some of the signs have yet to be changed). 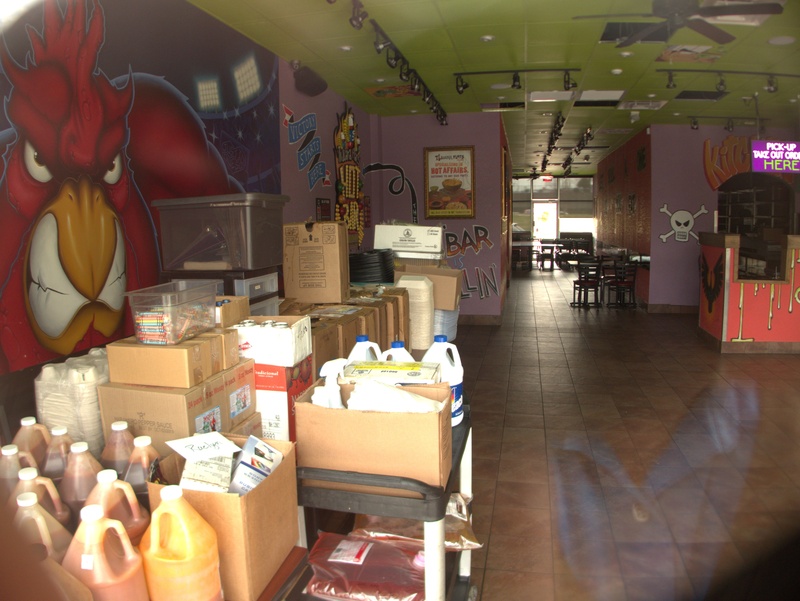 My sister mentioned that she had heard this place was closing, so I was able to get some interior shots in advance of that last week. I wish I had gotten the hot sauce bar, which was an impressive array of pumps. 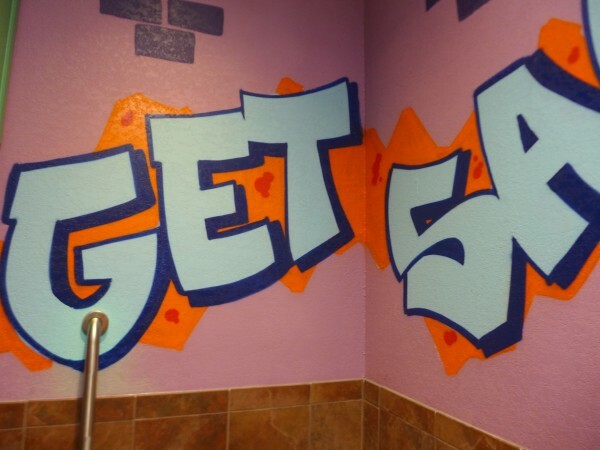 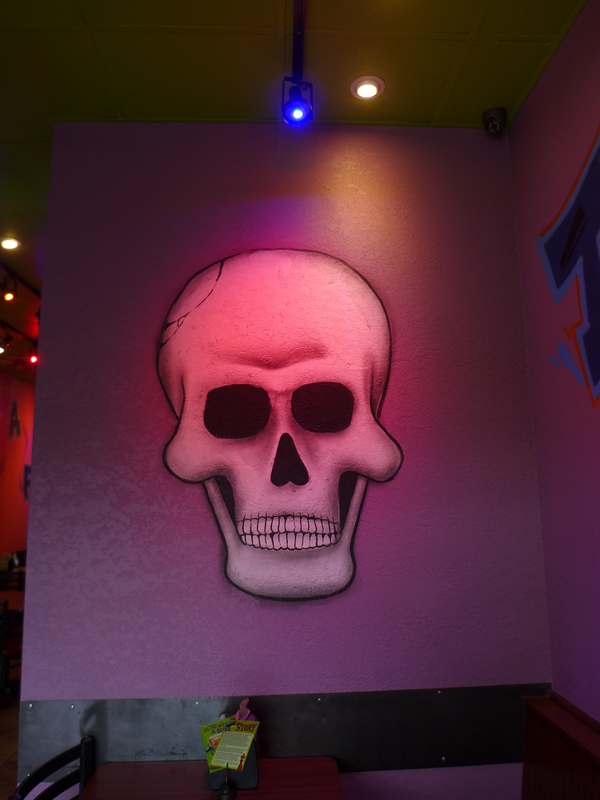 Initially, I wasn't quite sure what to make of Tijuana Flats (and kept thinking it was Tortilla Flats for some reason..). 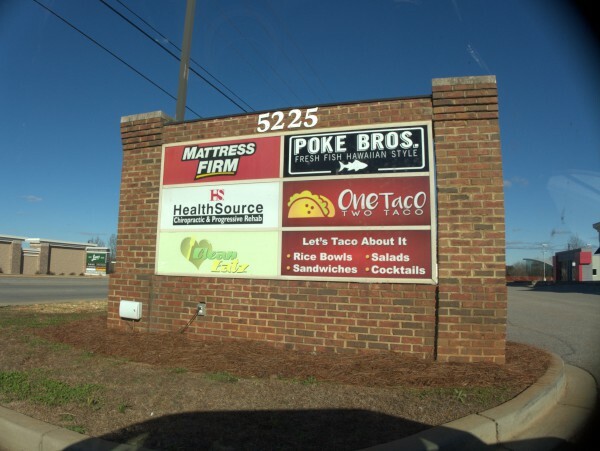 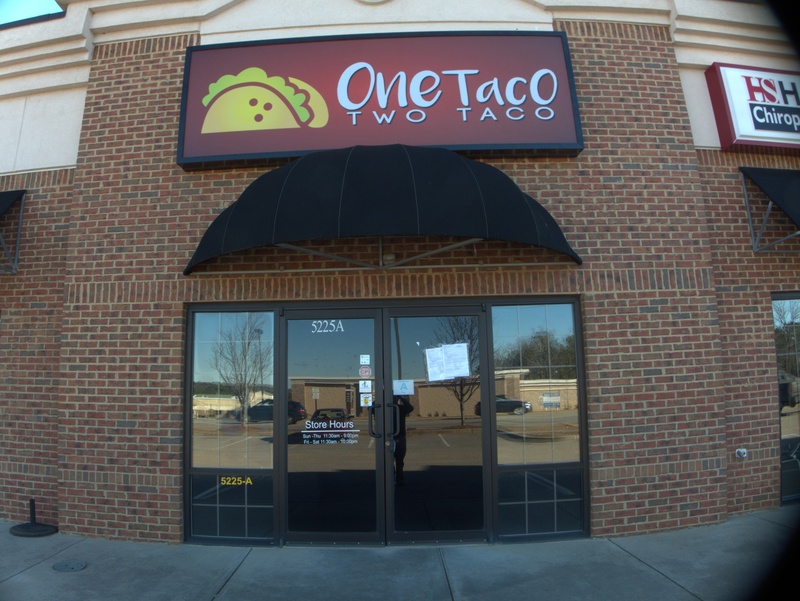 It wasn't like a Moe's or Qdoba building hand-held burritos, and it wasn't really a sit-down Mexican restaurant, but somewhere in between the two. I finally figured it out though, and liked the place pretty well. In the summer, the front sidewalk was generally in the shade by the time I would get there, and it was nice to eat outside. 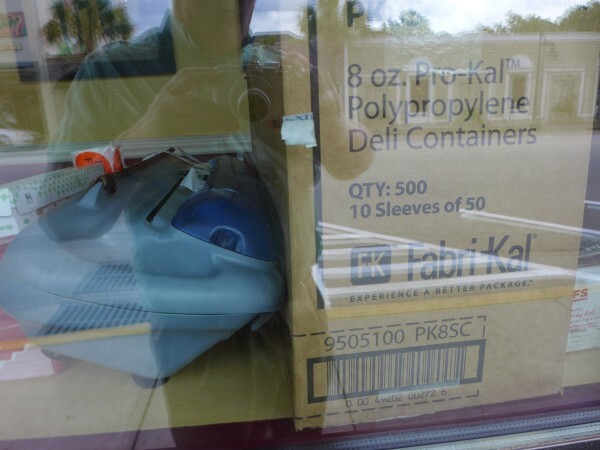 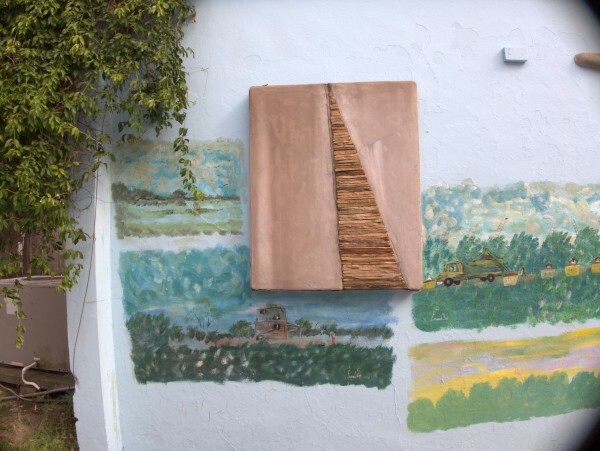 In the winter, I liked to go the the back of the store and sit in the sunshine coming through the back windows. My only real criticisms are that I thought they needed a drink stand so you didn't have to go begging for refills (which they were happy to provide, but it's a quirk of mine) and I thought they should go with the sit-down Mexican restaurant concept of free salsa with the chips. 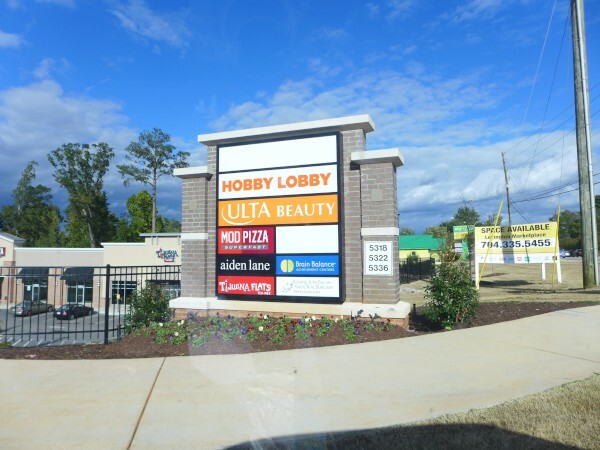 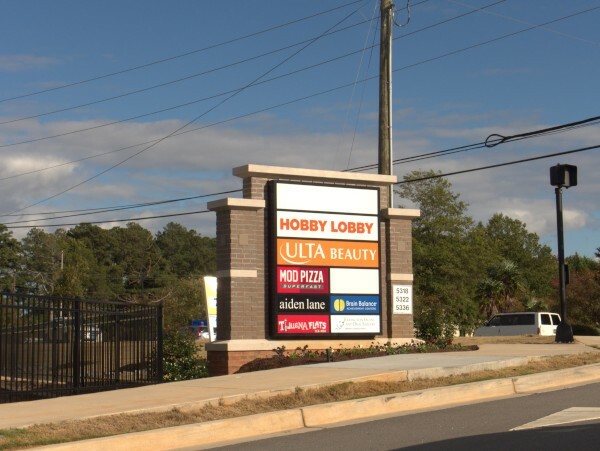 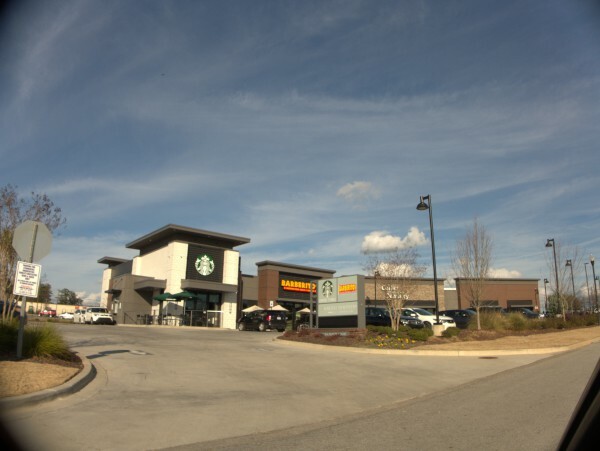 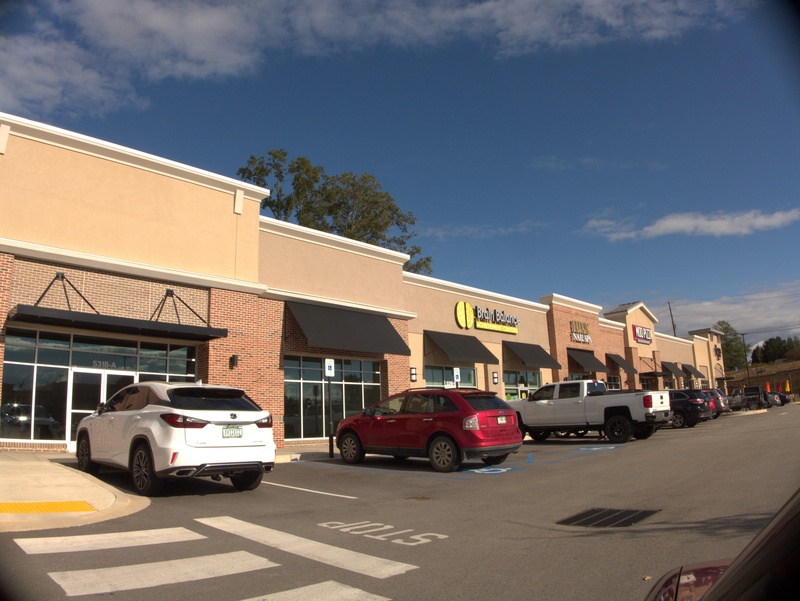 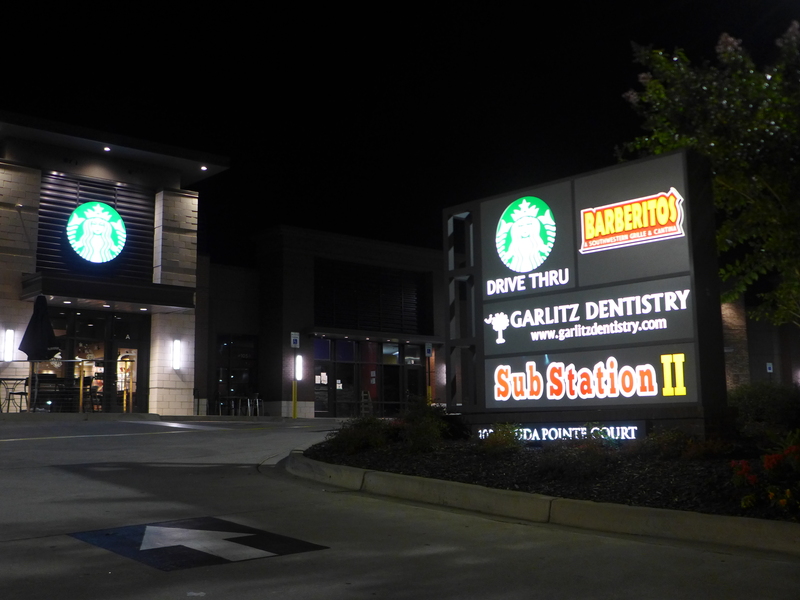 I'm pretty sure this is the first closing for the fairly new Jackson Square strip mall, though of course the whole former strip mall on the site was closed and razed years ago. 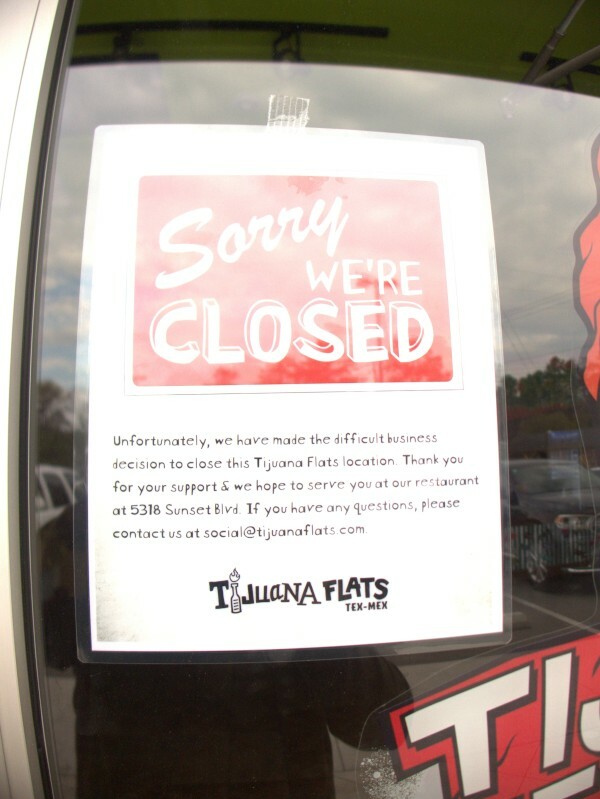 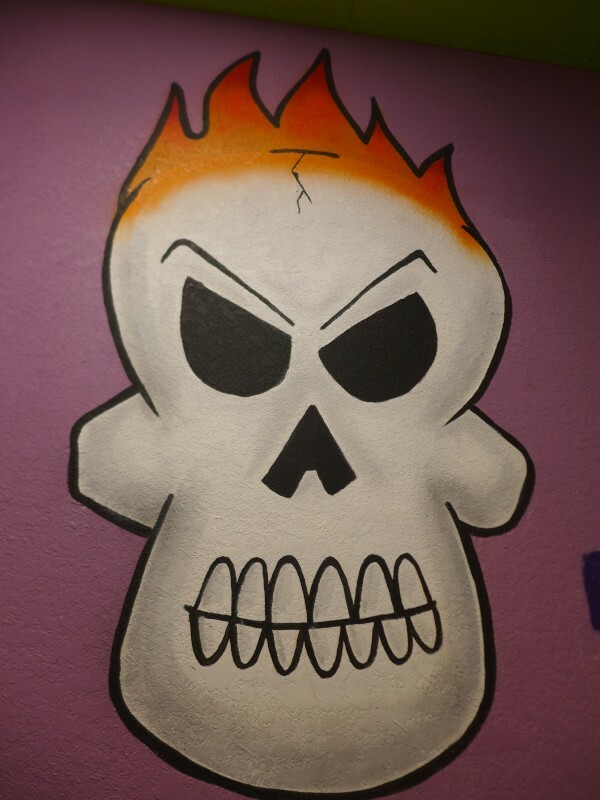 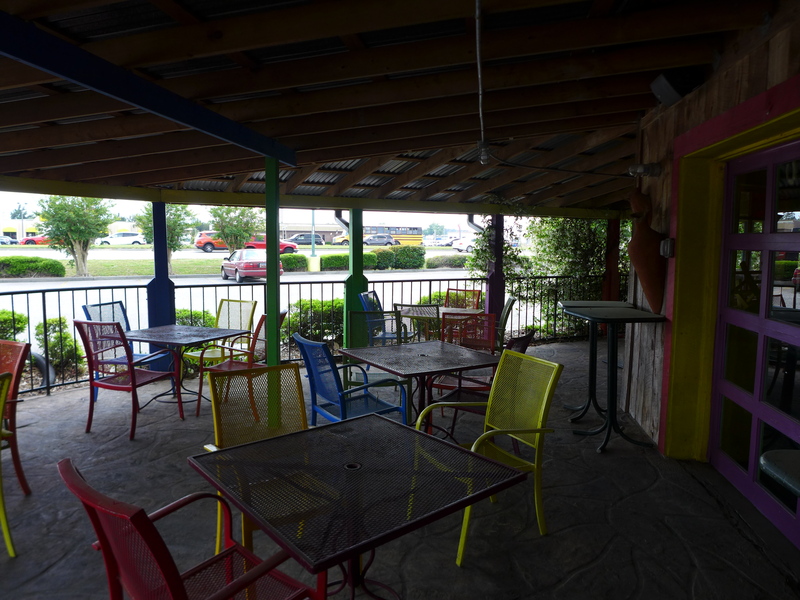 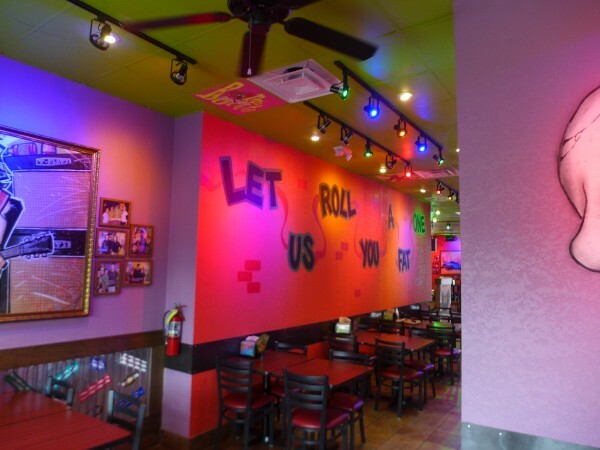 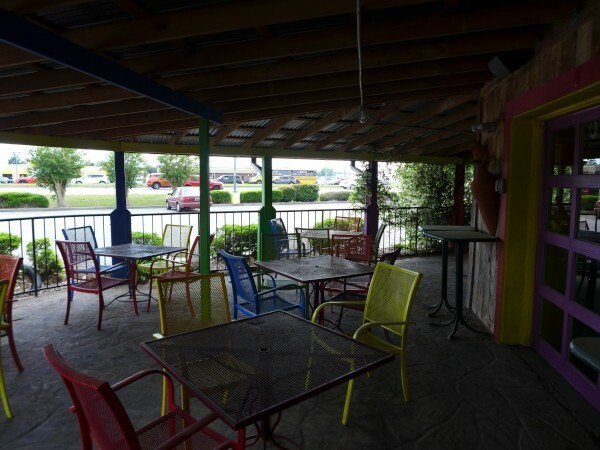 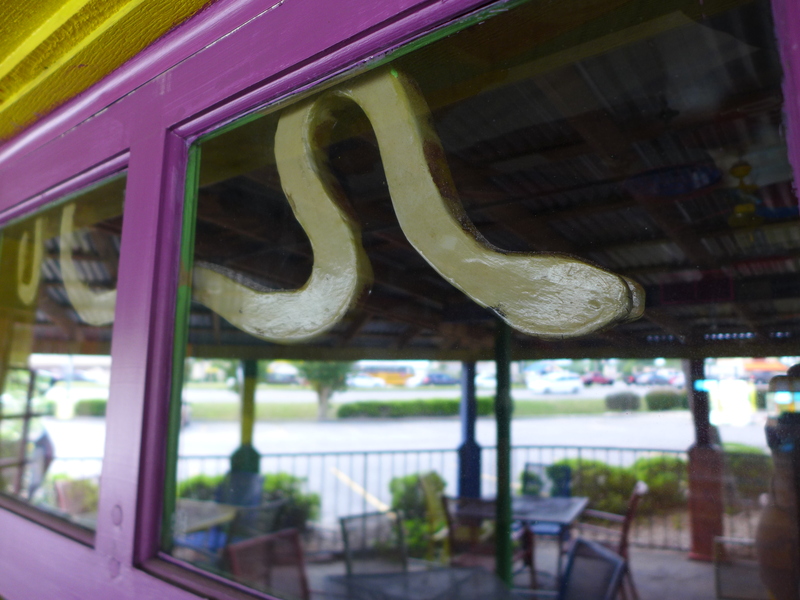 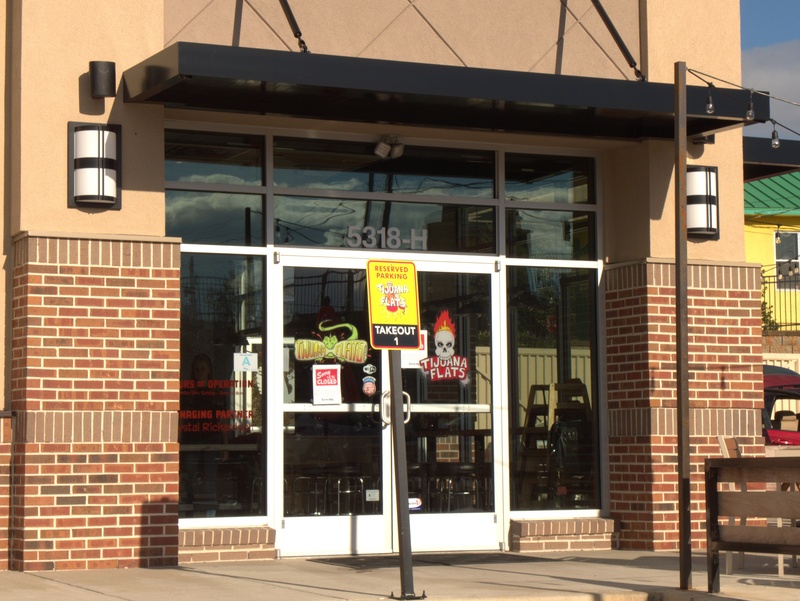 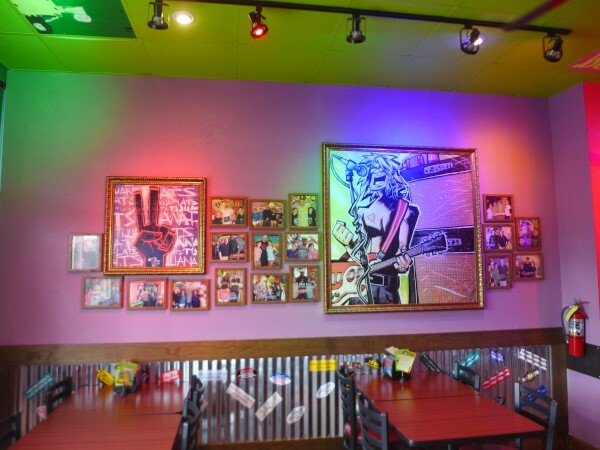 The Tijuana Flats Lexington location remains open. 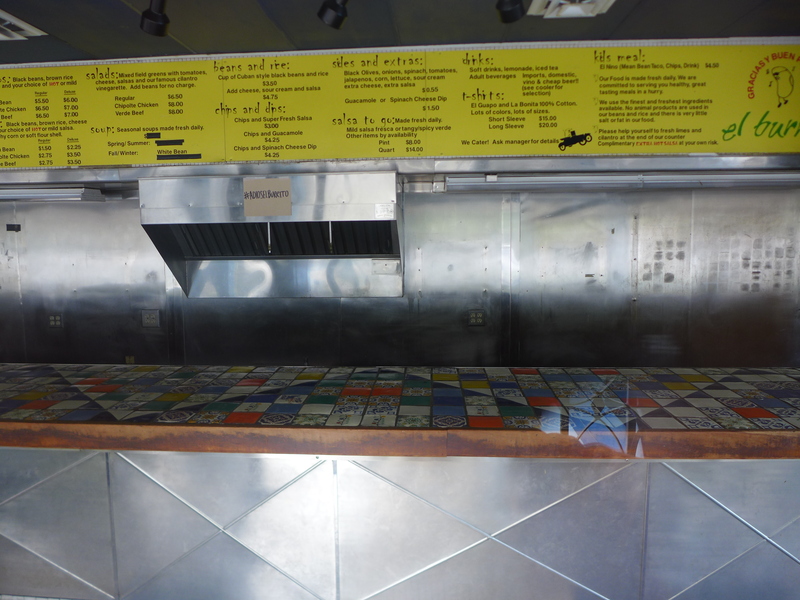 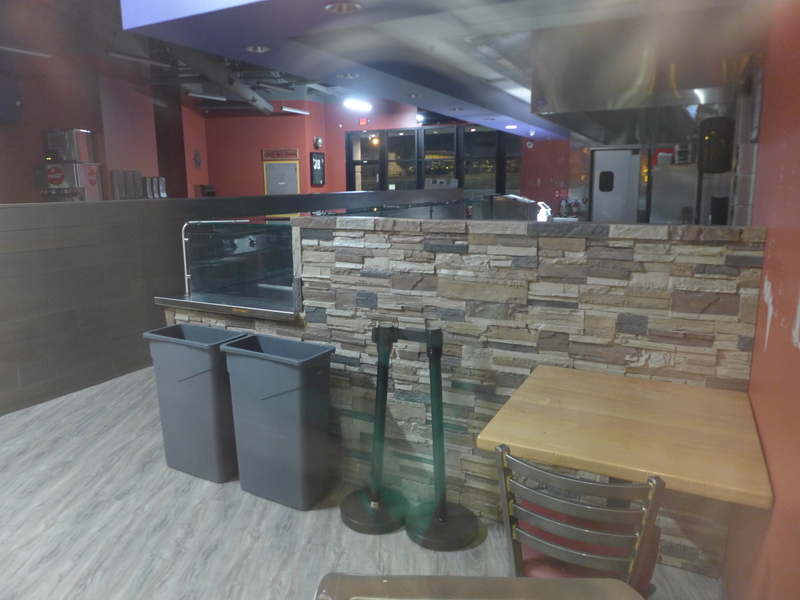 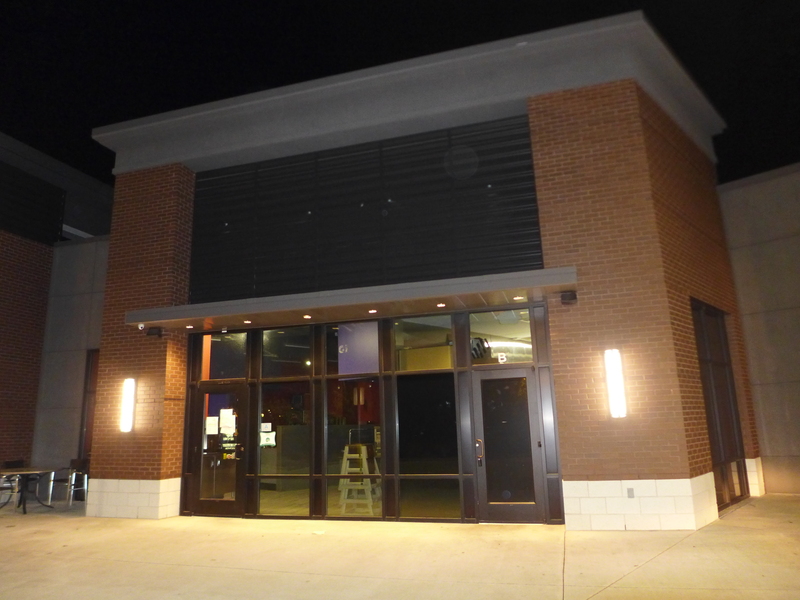 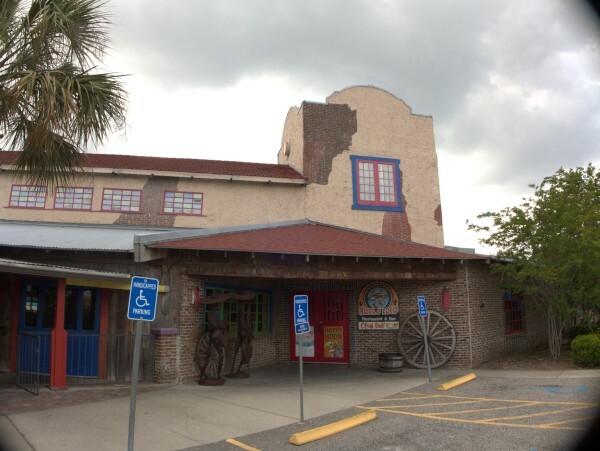 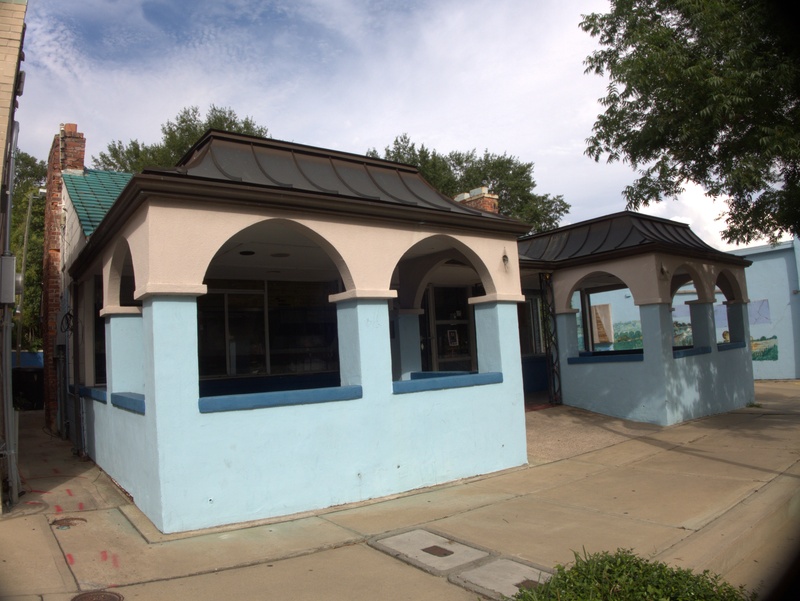 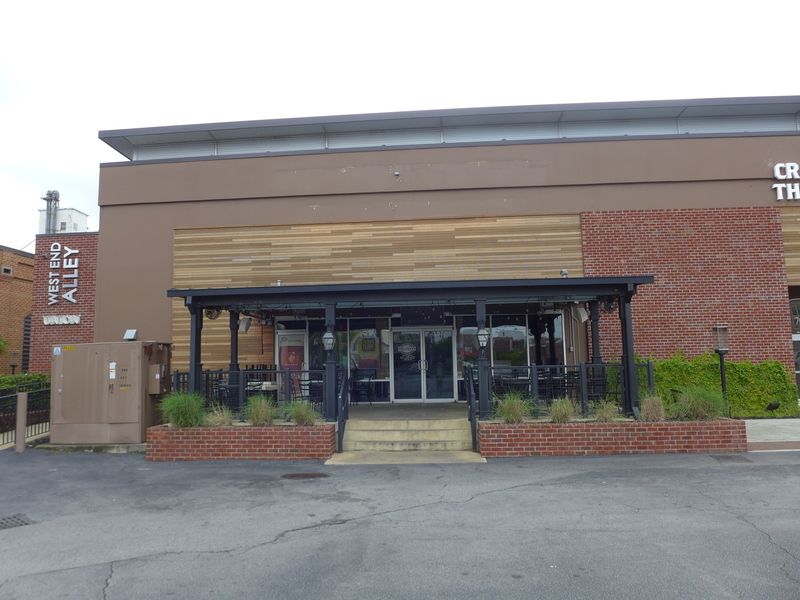 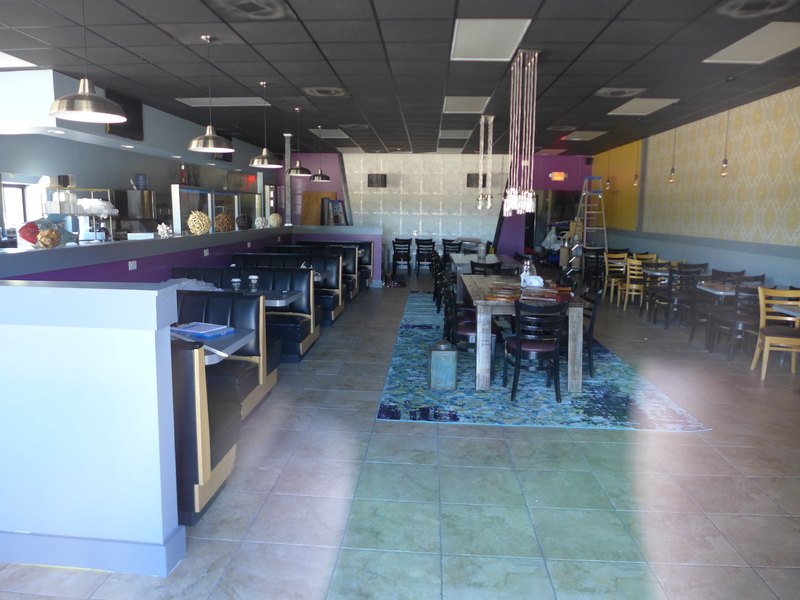 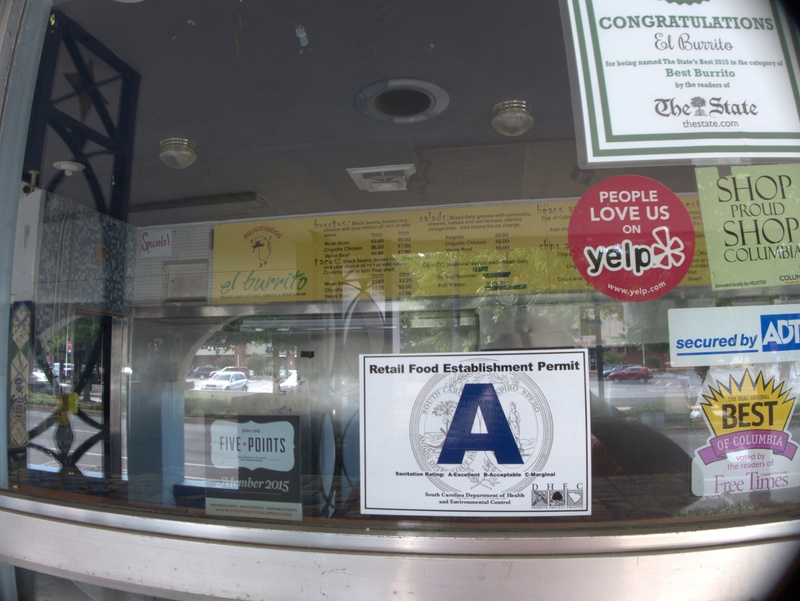 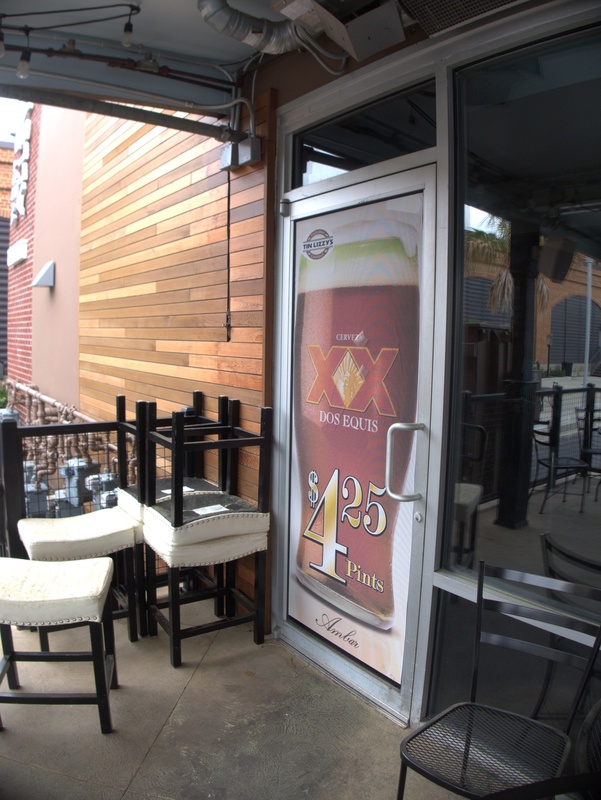 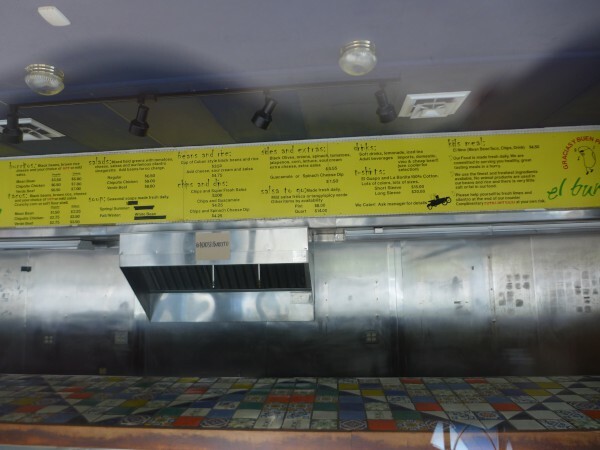 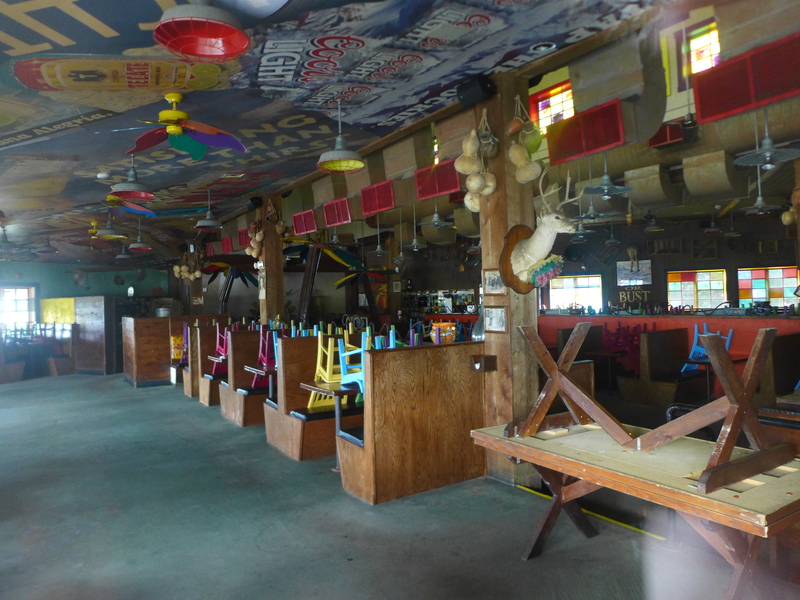 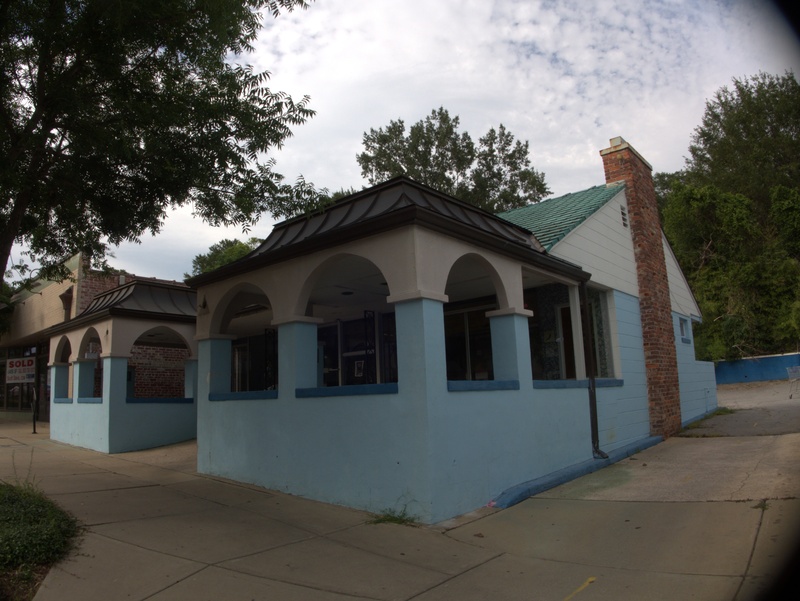 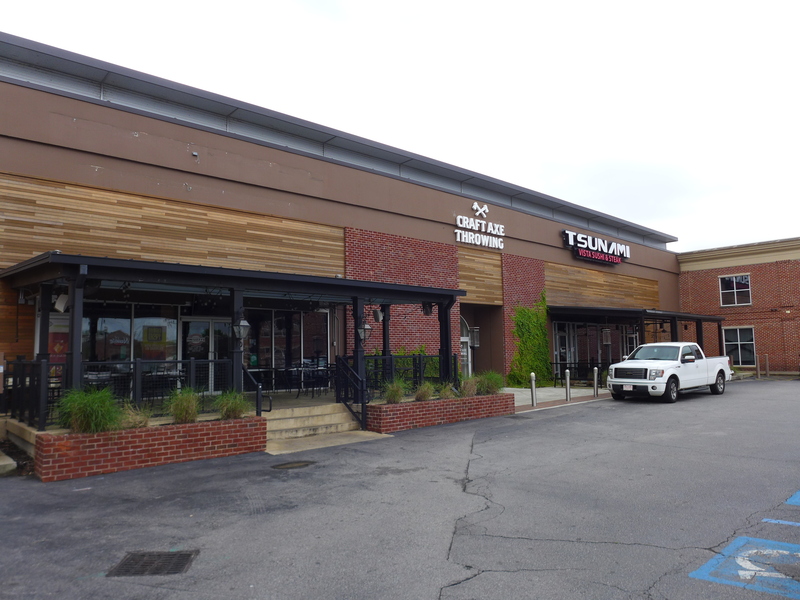 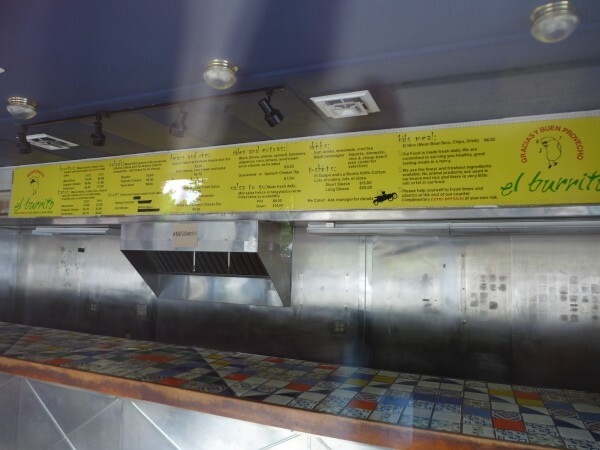 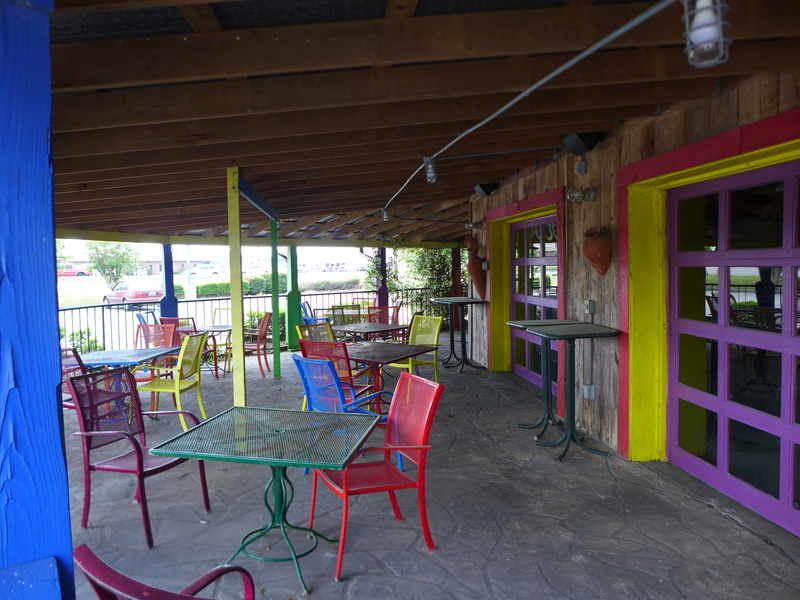 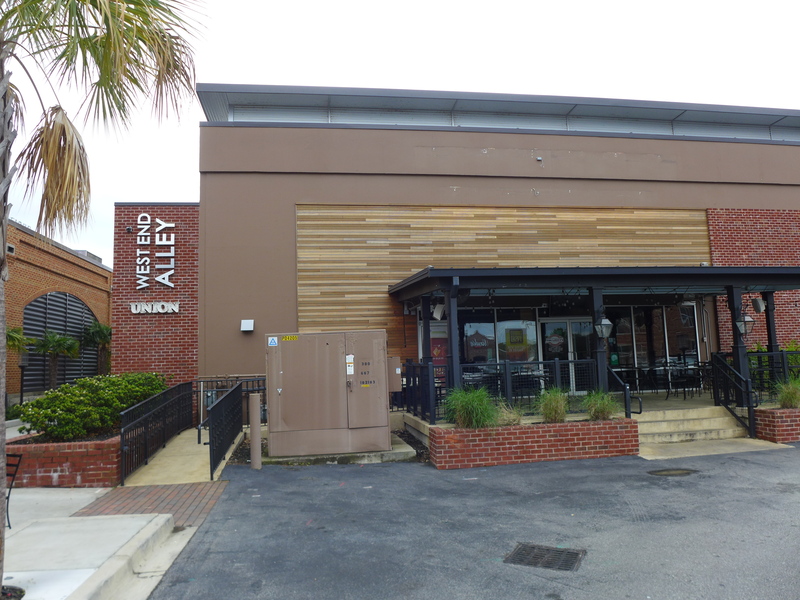 According to the pictures from October 2016 above, One Taco Two Taco opened on 20 October 2016 in the former Buddy's Saucy Dogs location. 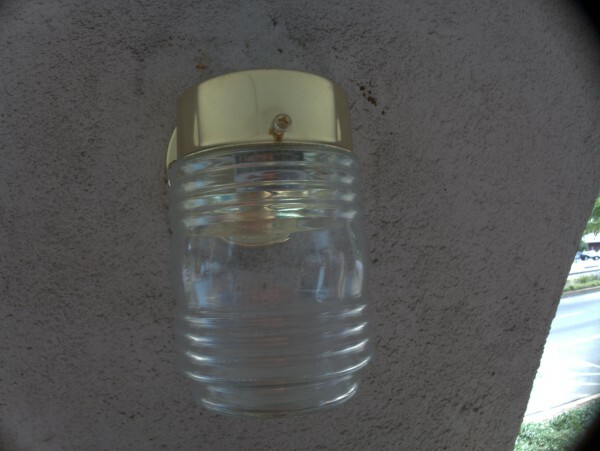 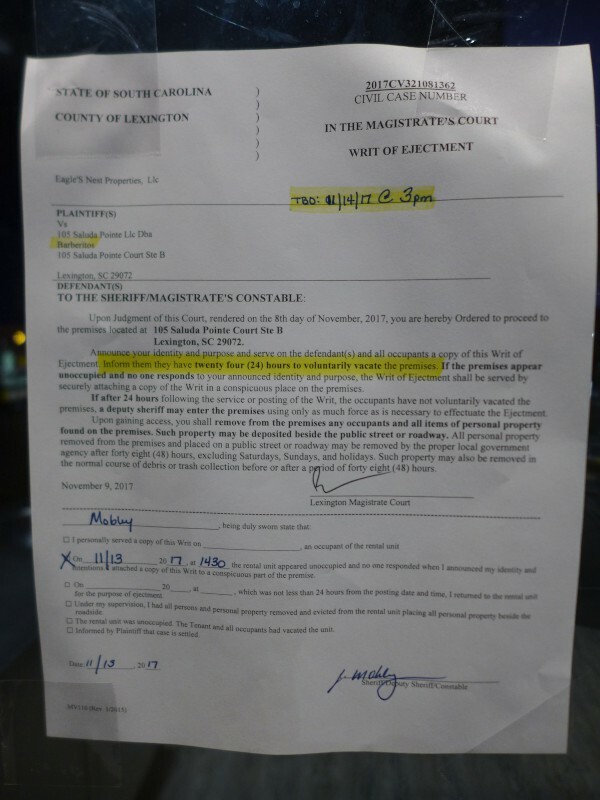 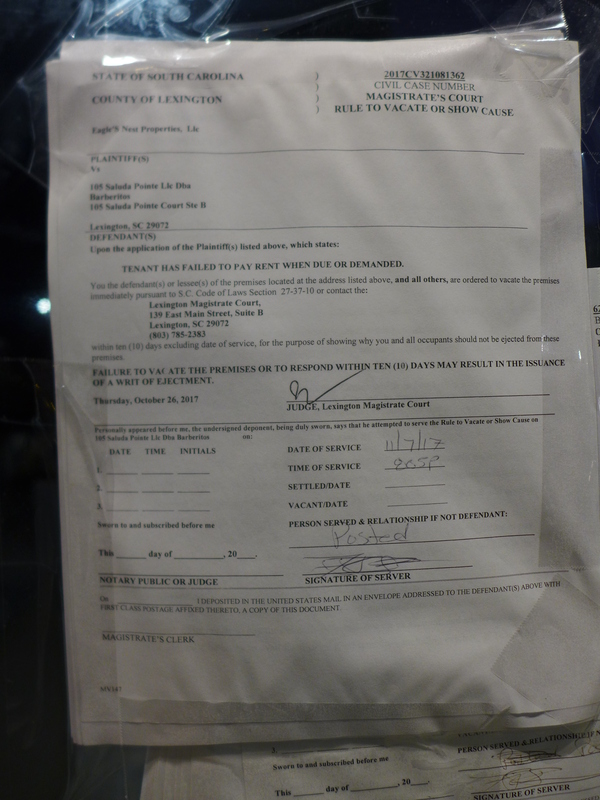 From the notice posted on the door in the pictures below, it appears they lasted into November or December of 2017. 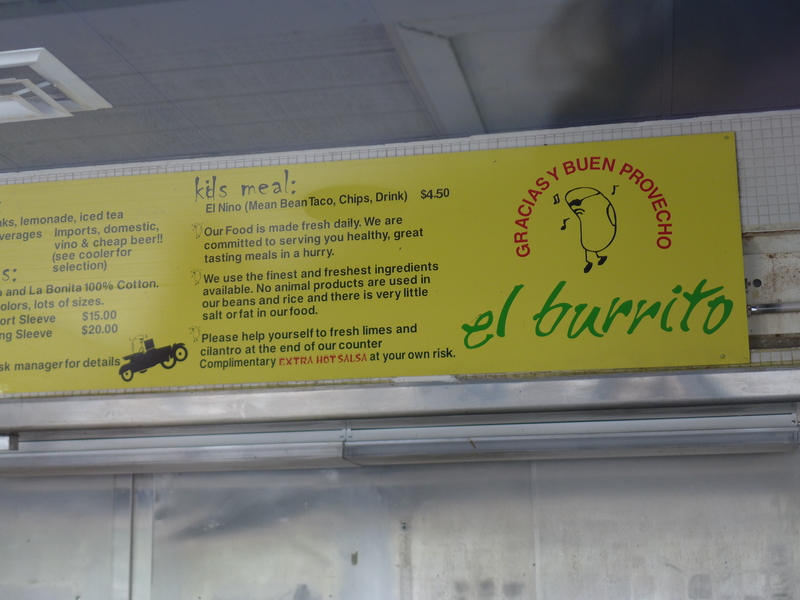 I like tacos, but it's far enough away from me that I never go the chance to stop by. 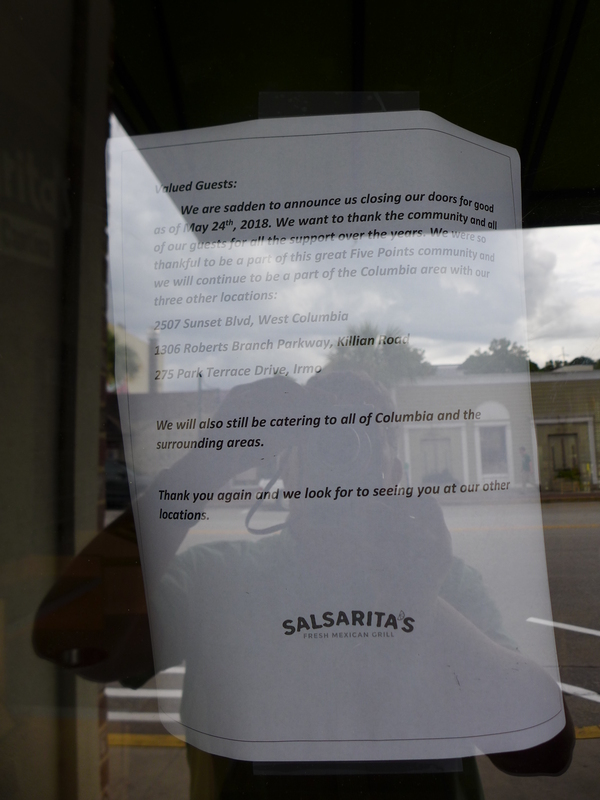 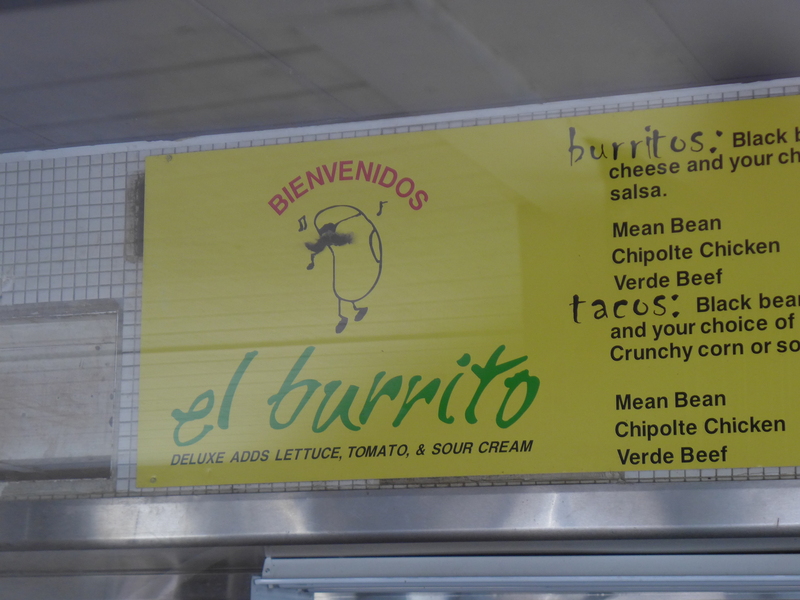 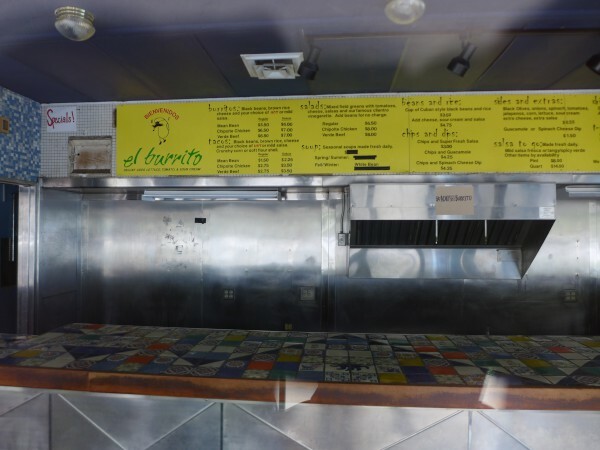 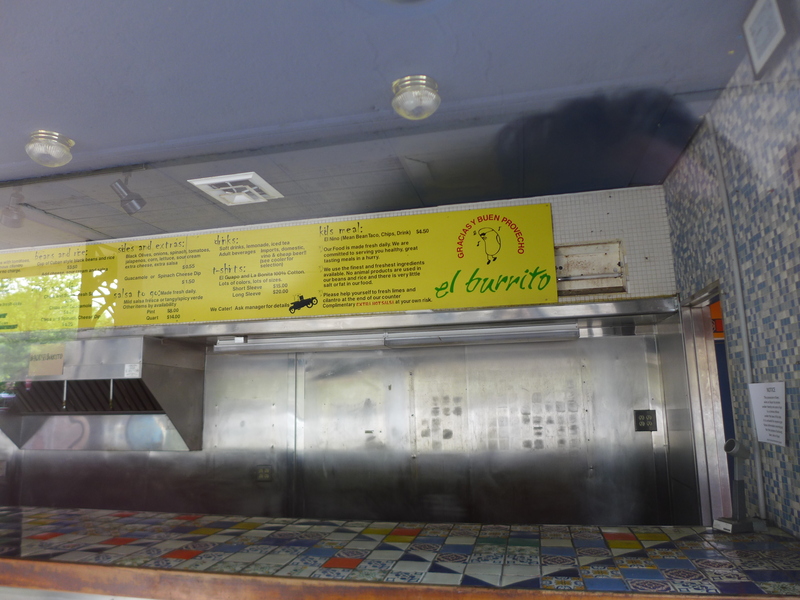 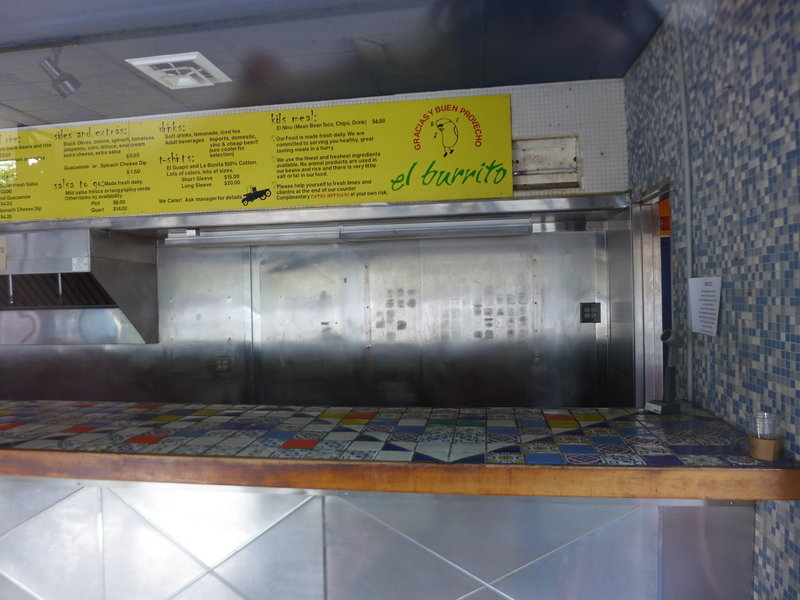 Well, today was the final call at El Burrito on Harden Street. 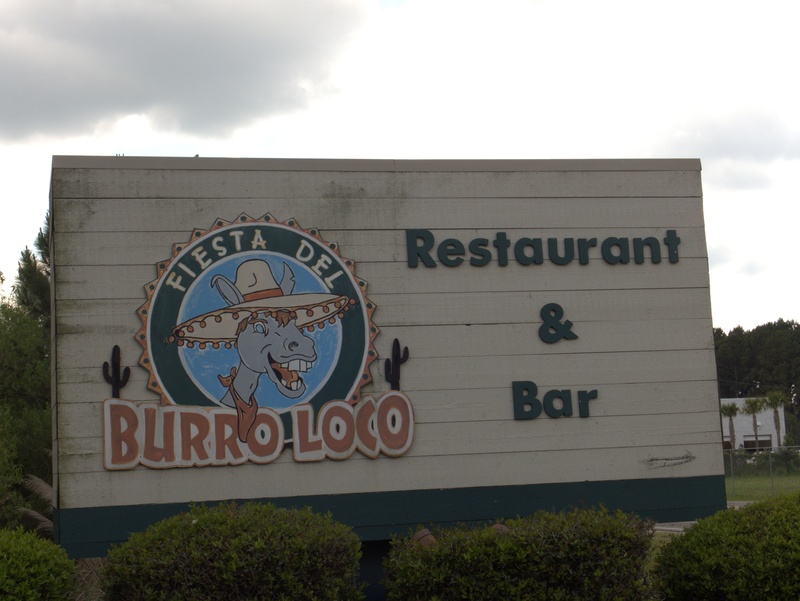 In the event, I think I only ate there once or twice. 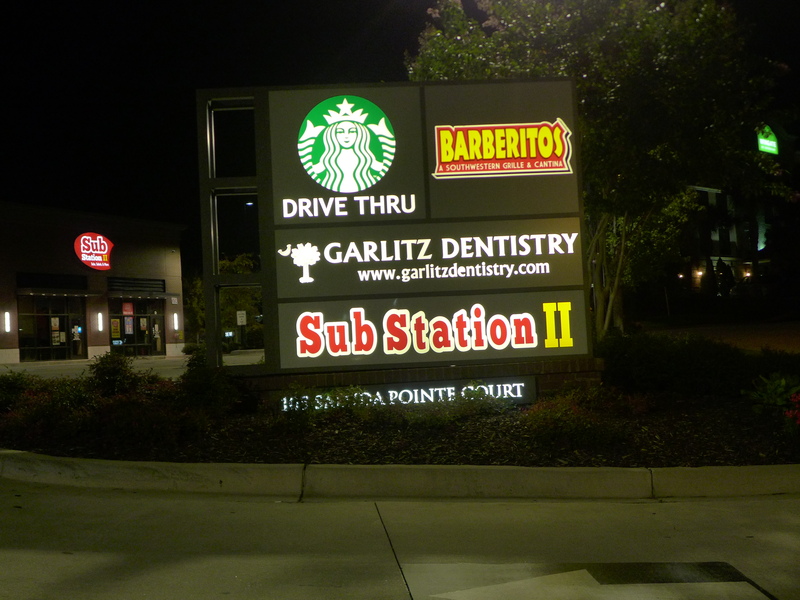 It was good, but somewhat out of the way, and I tend to go to places with parking lots. 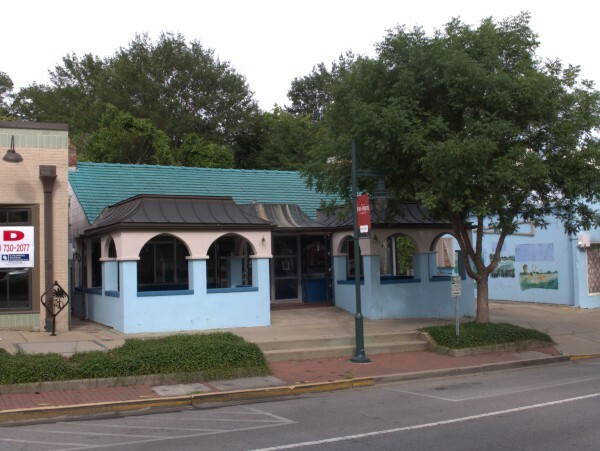 Still, 16 years is a good run for a restaurant, especially in Five Points, and they went out on top of their game. 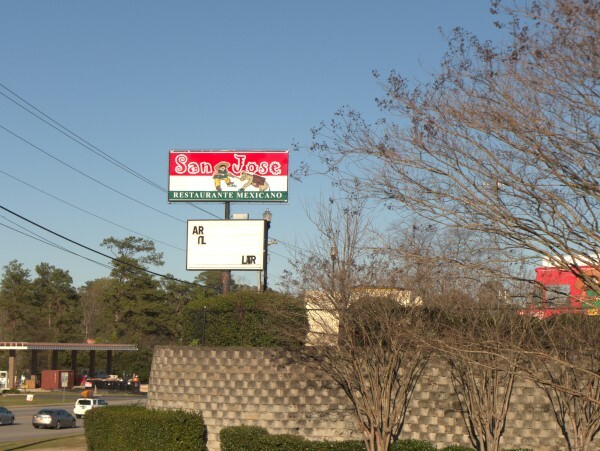 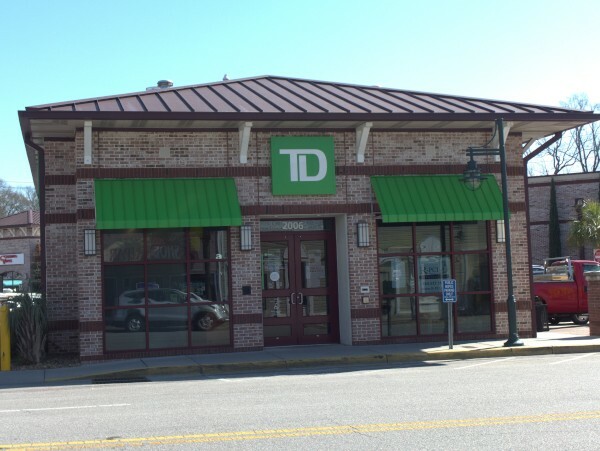 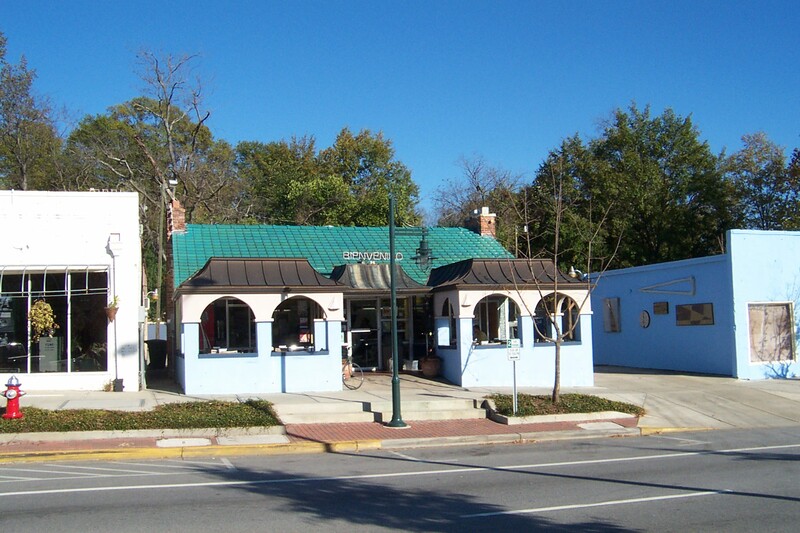 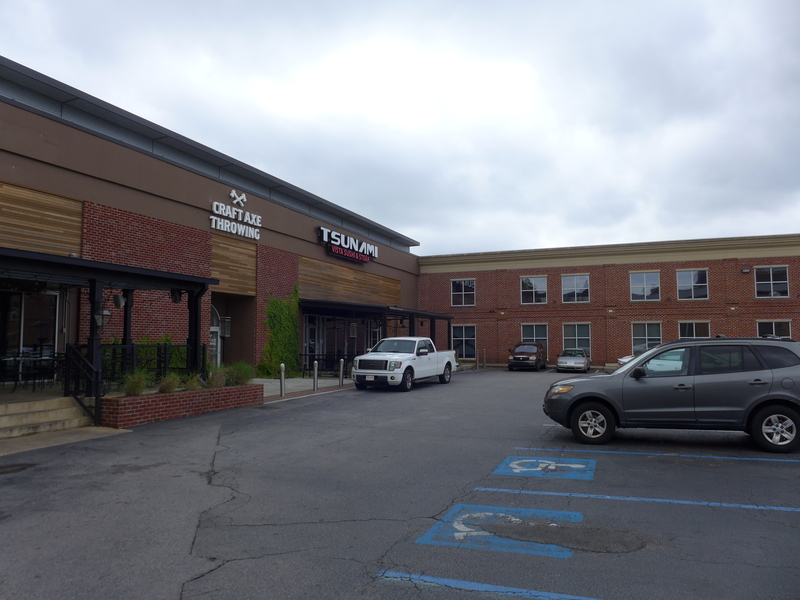 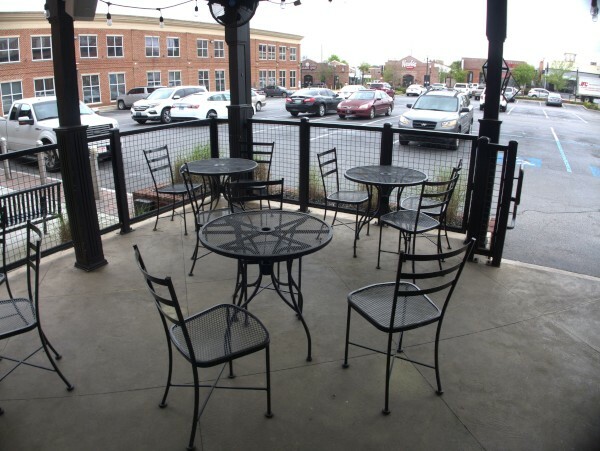 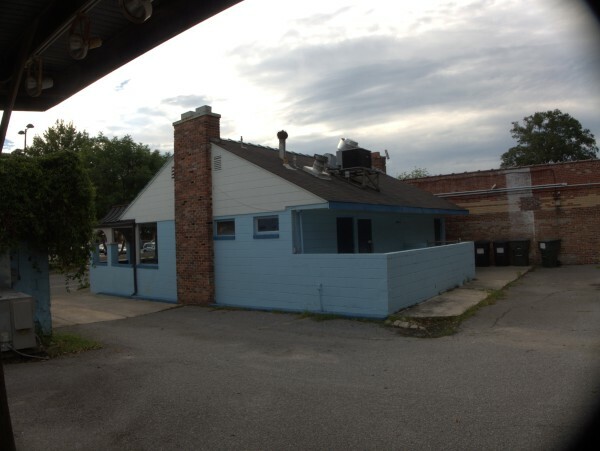 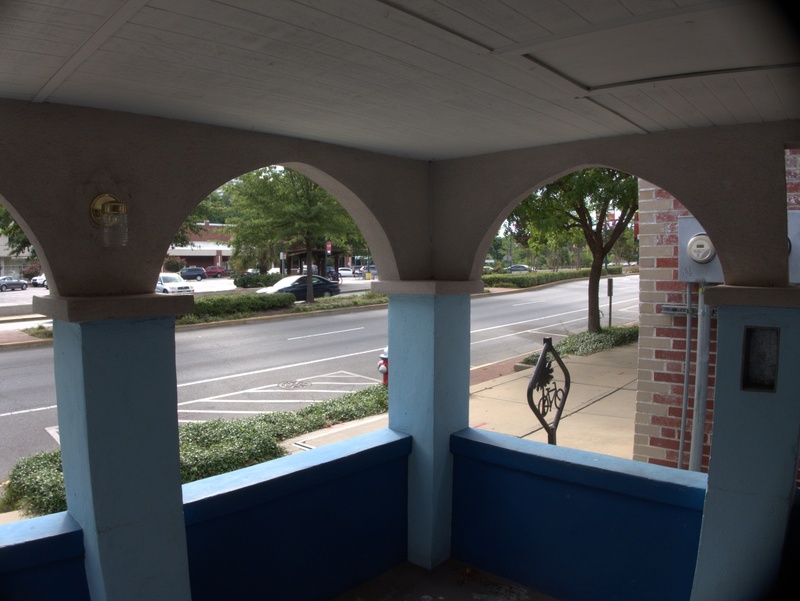 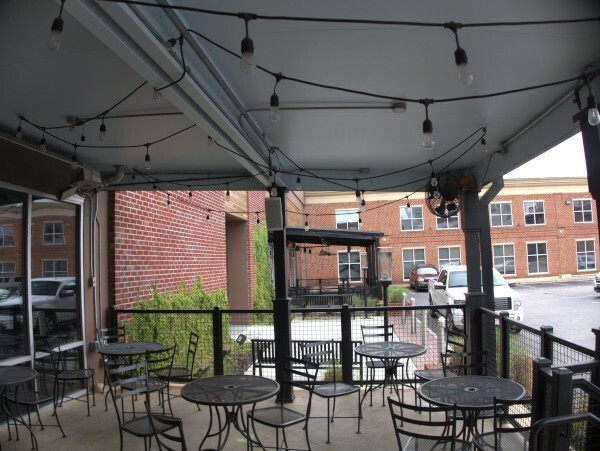 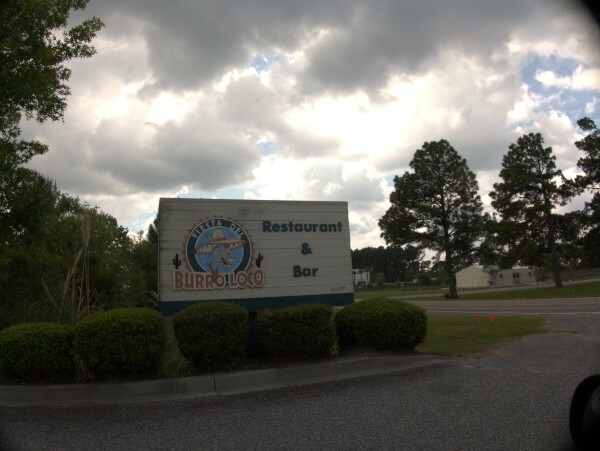 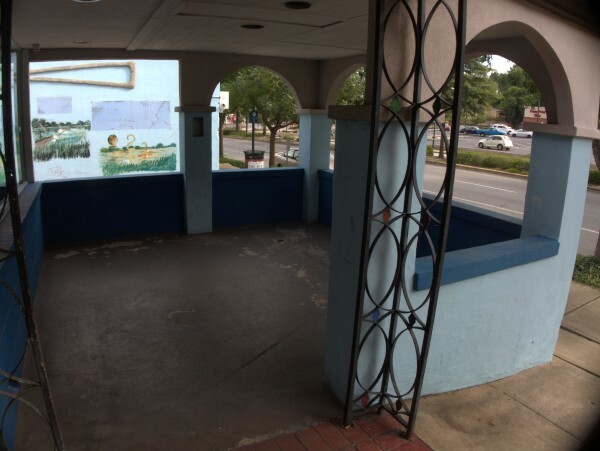 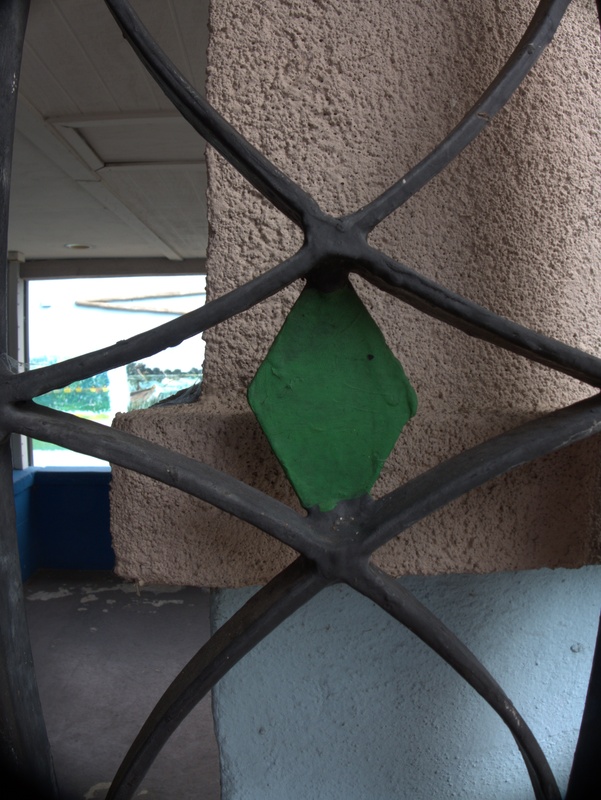 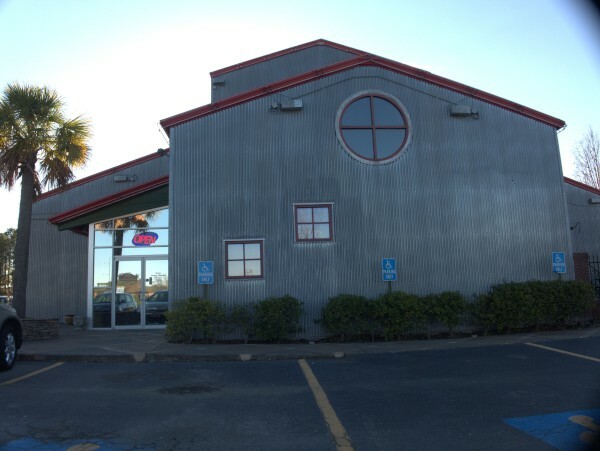 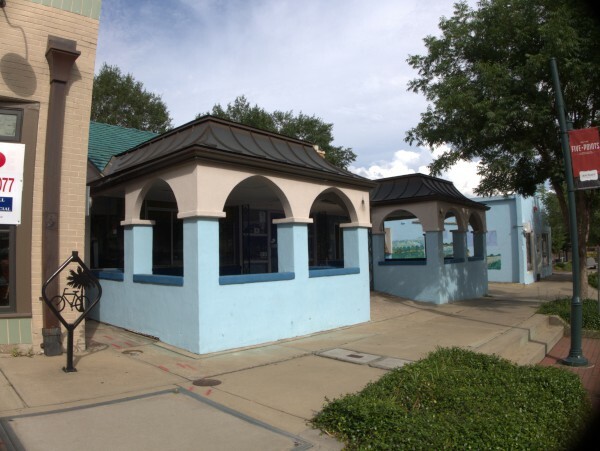 The Free Times has an interview with owner Suzi Sheffield which talks about the early years and the history of the building (which was originally a twin to the much remodeled Schiano's on Forest Drive). Apparently it is still up in the air whether the developer who bought this and neighboring buildings will raze and build or just re-purpose.